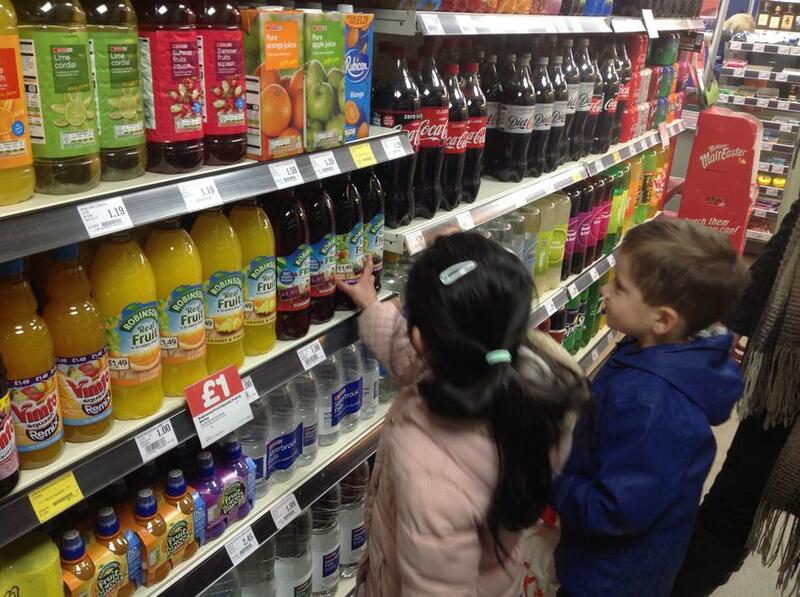 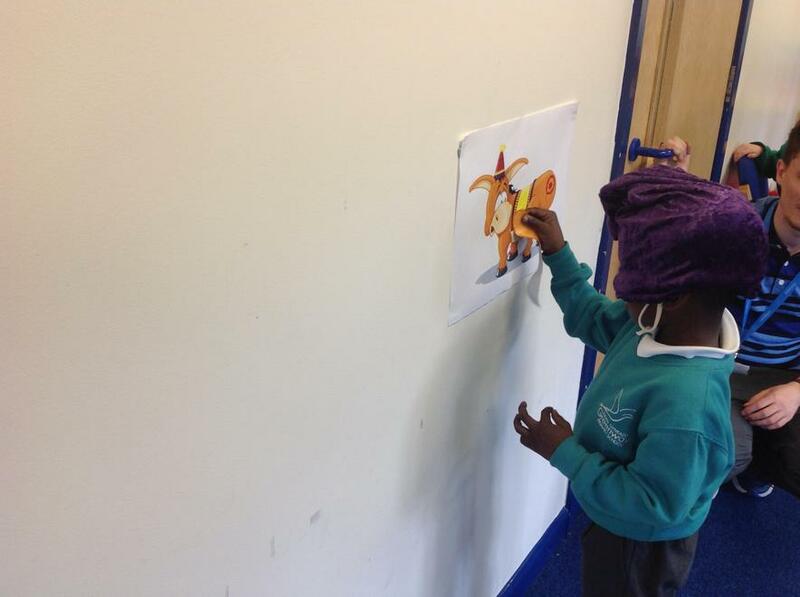 This half term our topic is Mirror Mirror! 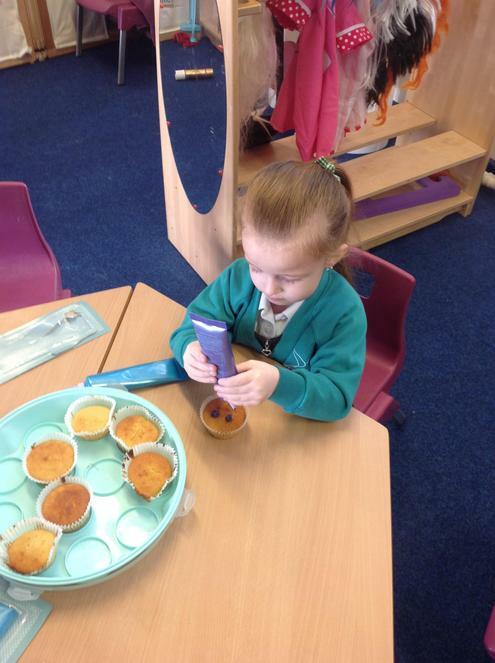 We will be reading lots of different books and learning about apples. 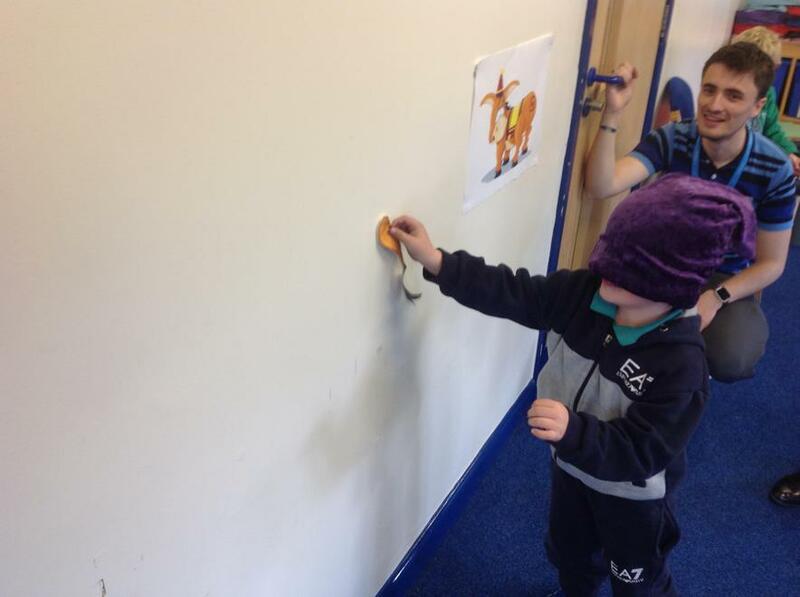 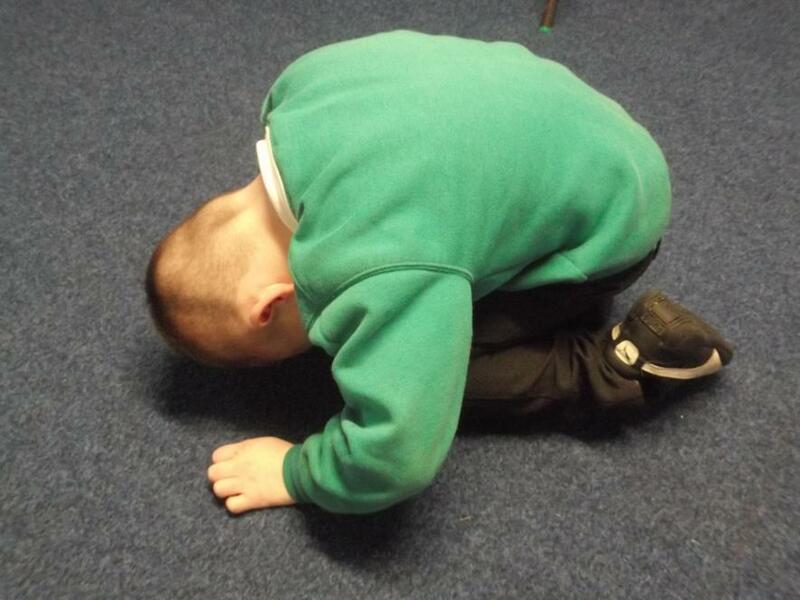 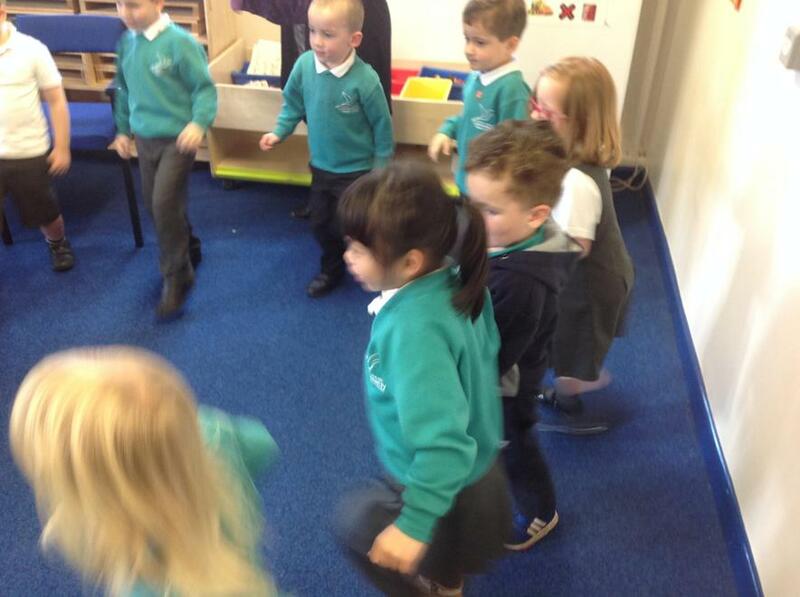 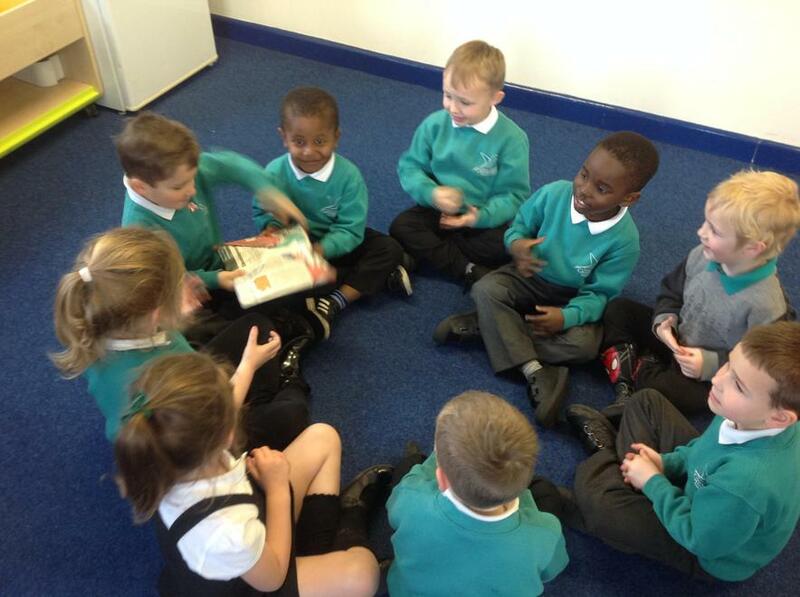 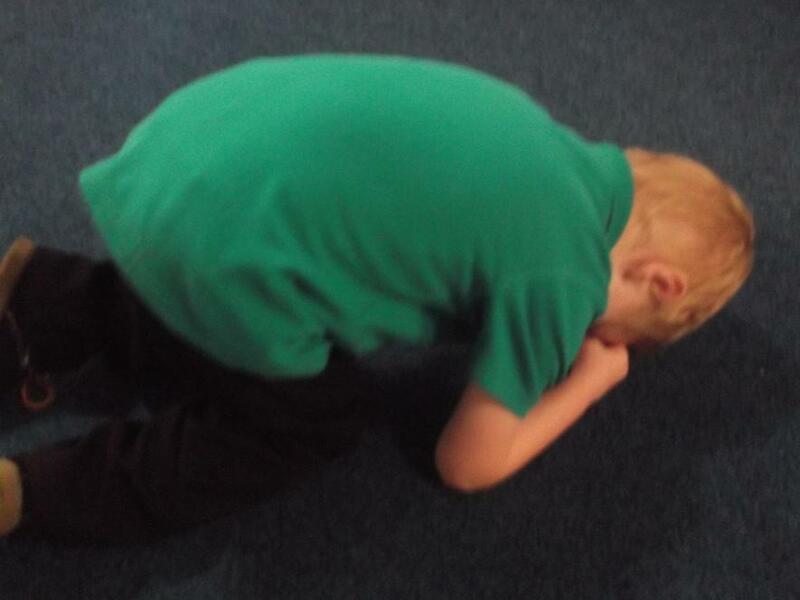 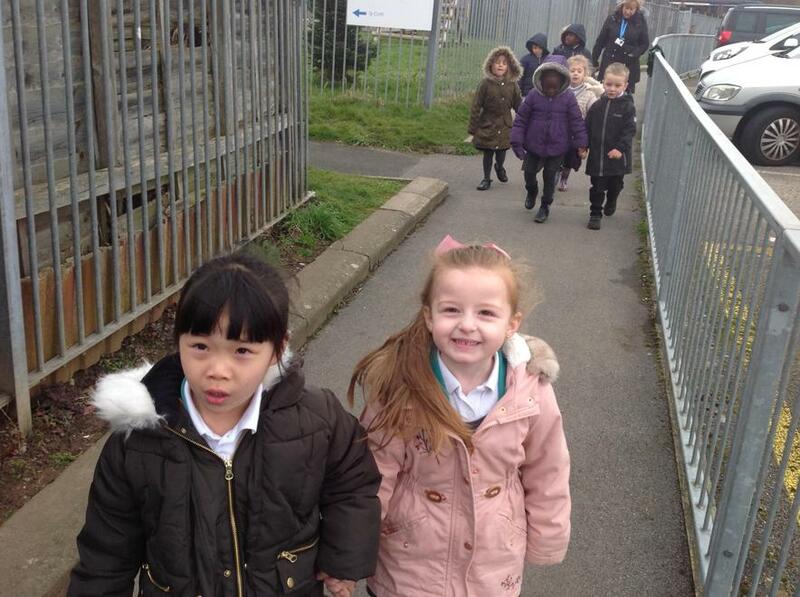 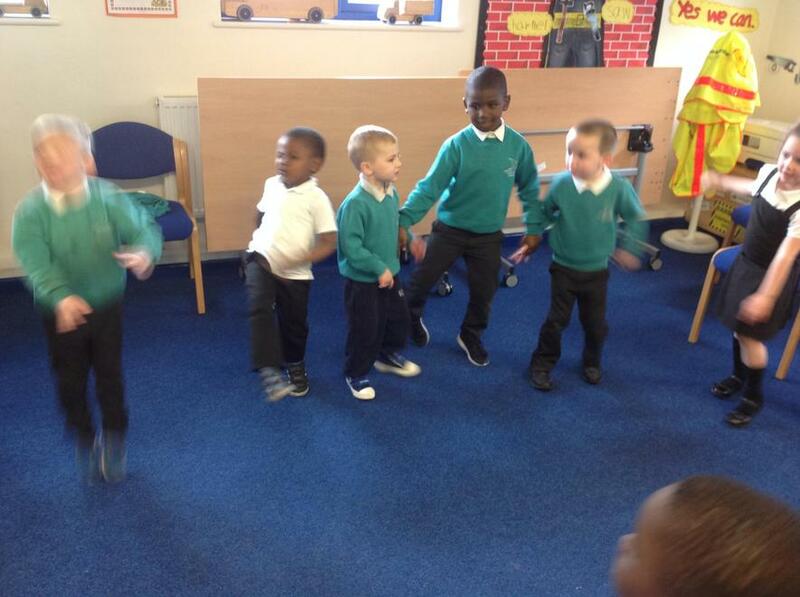 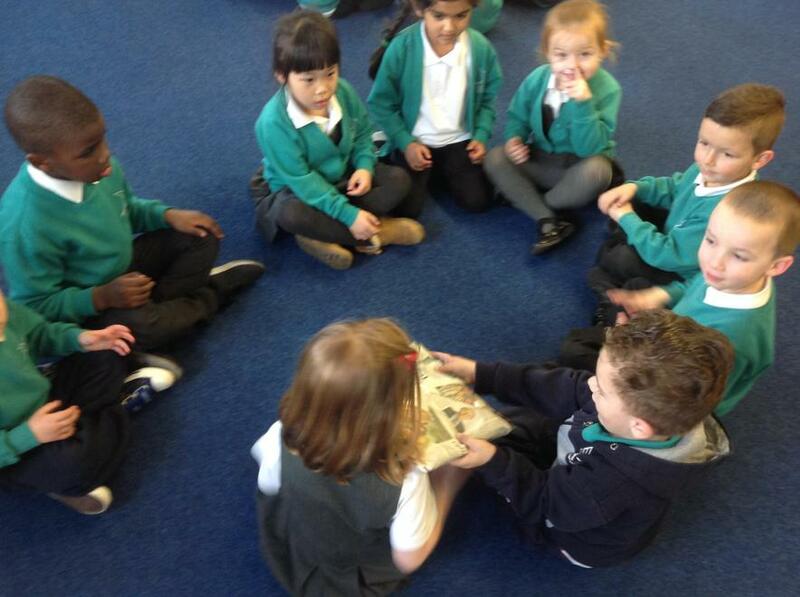 Snow White's cottage - We acted out the story of Snow White and the 7 Dwarfs. 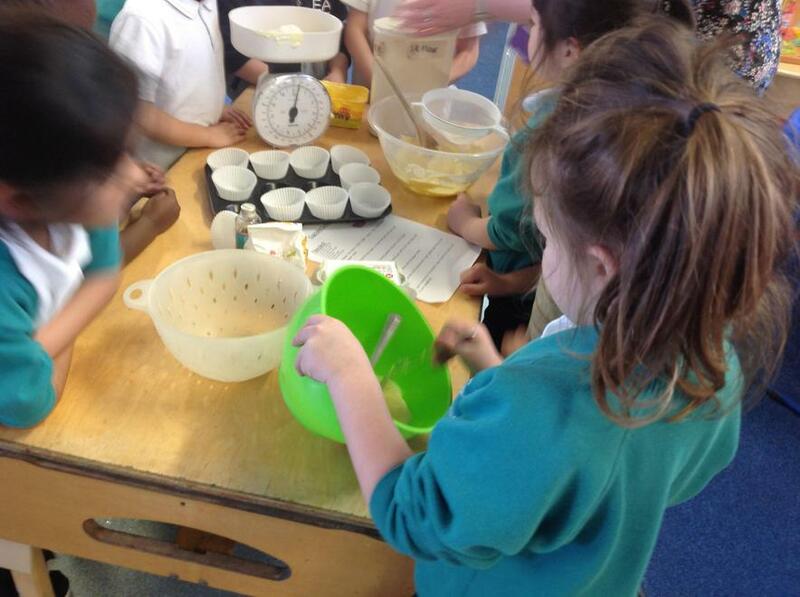 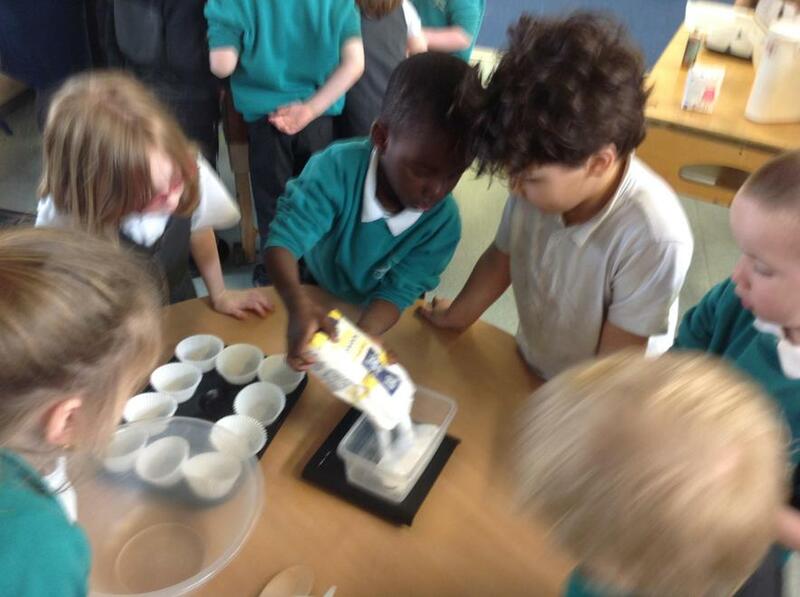 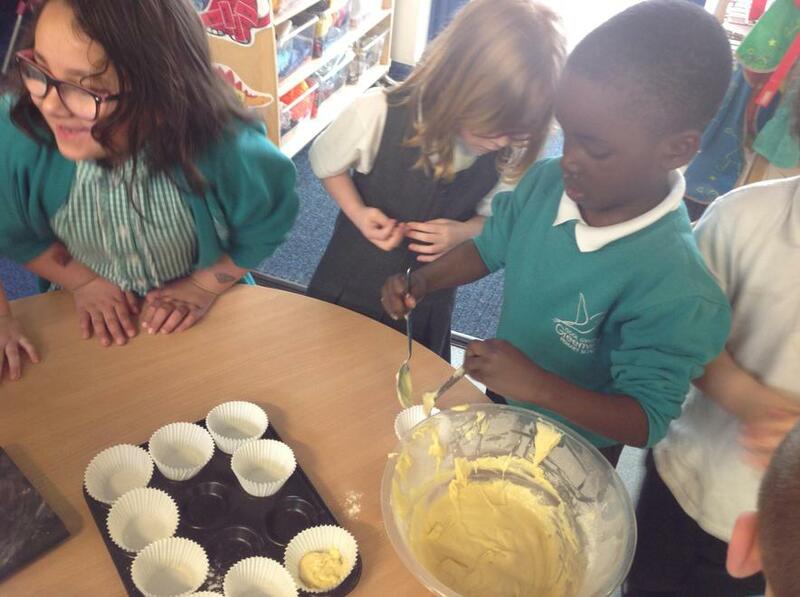 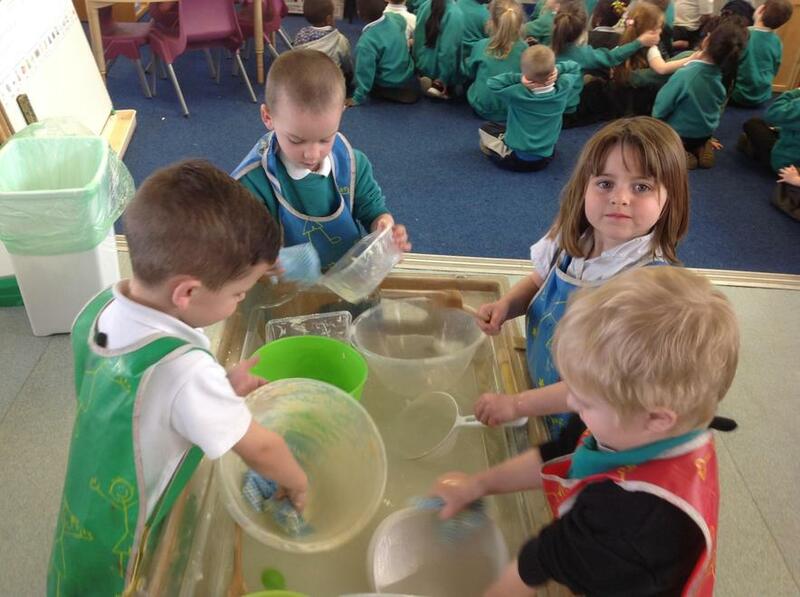 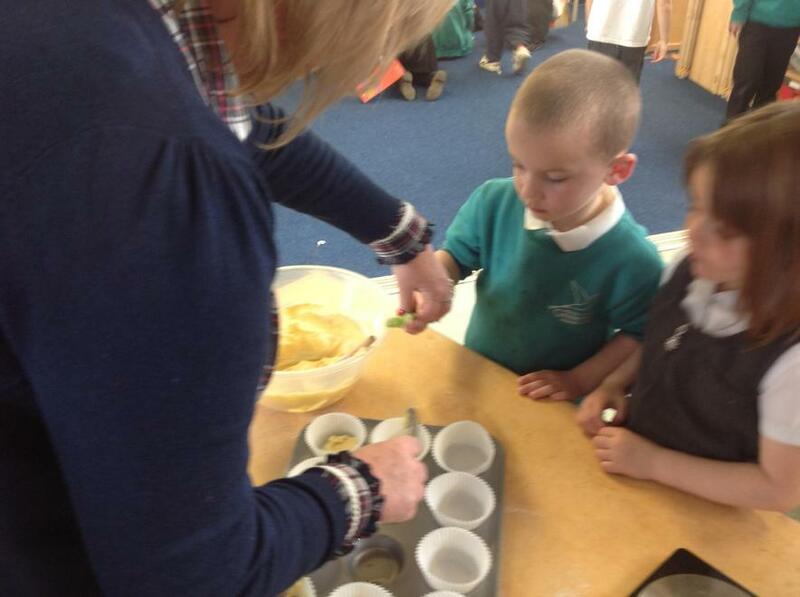 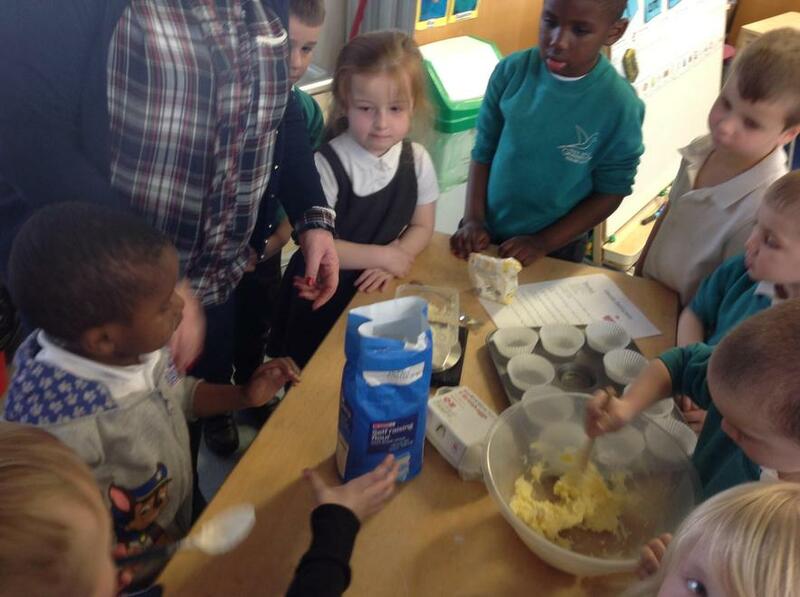 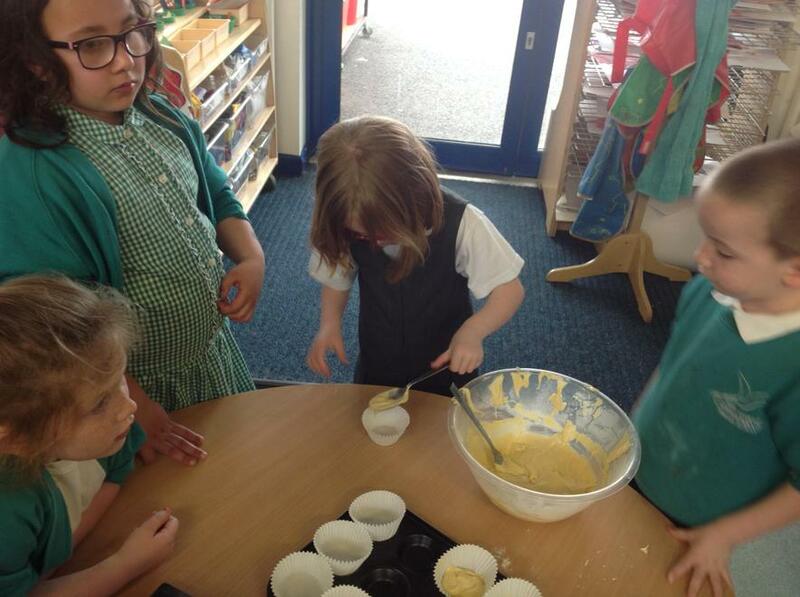 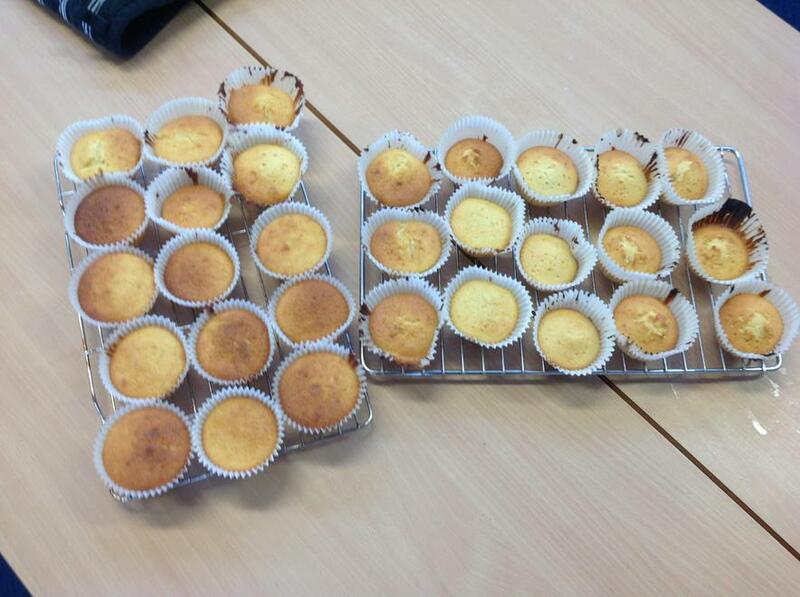 Mud Kitchen - We went outside to use lot's of different equipment and made mud cupcakes. 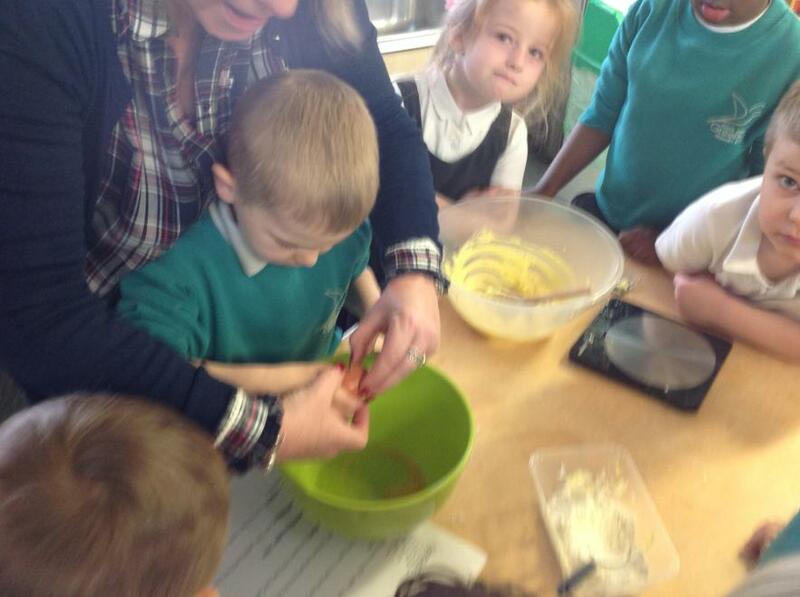 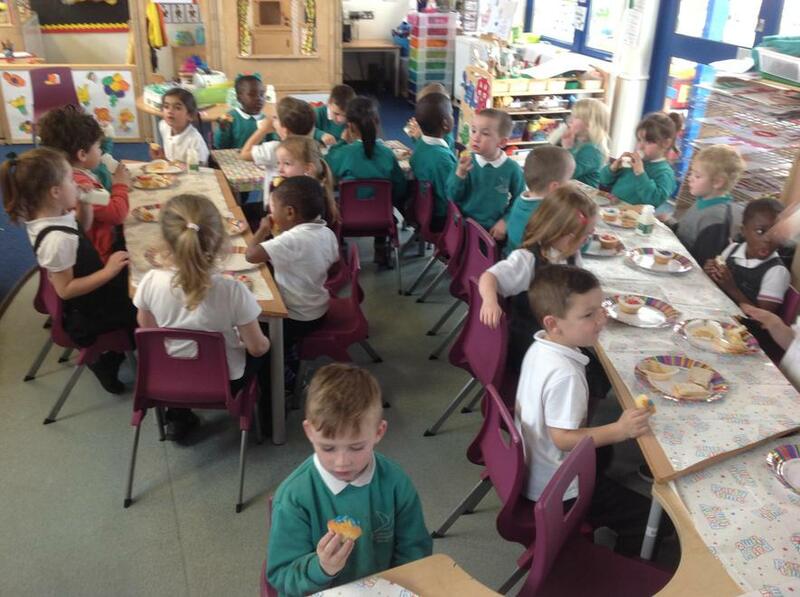 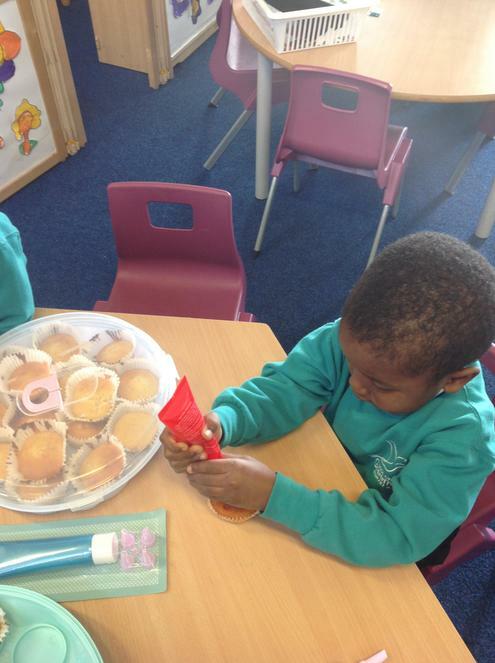 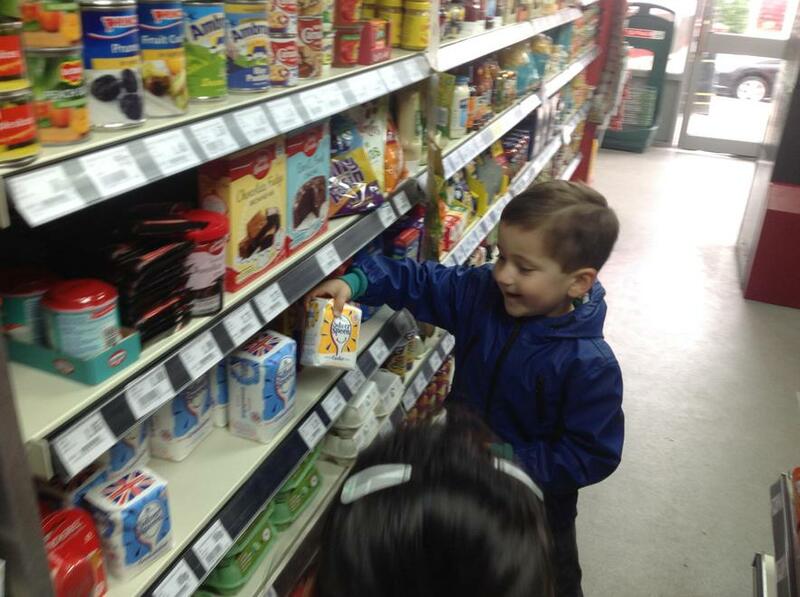 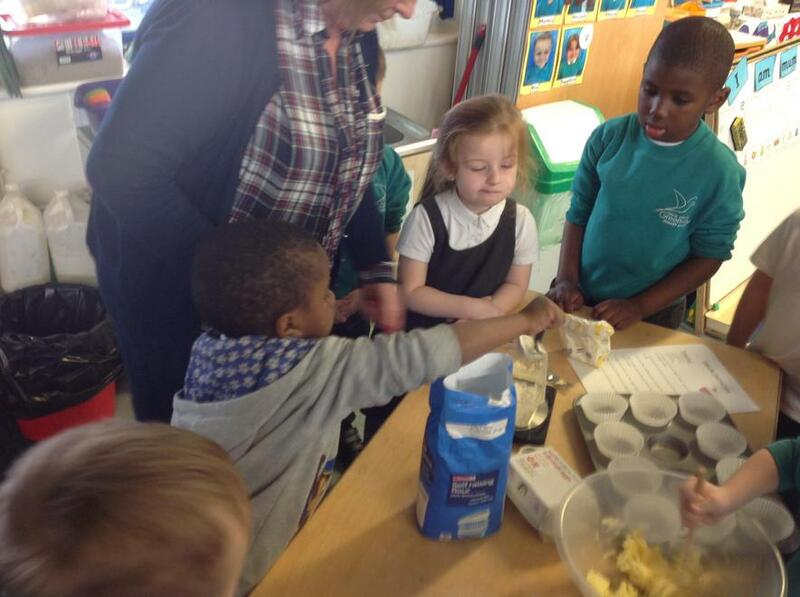 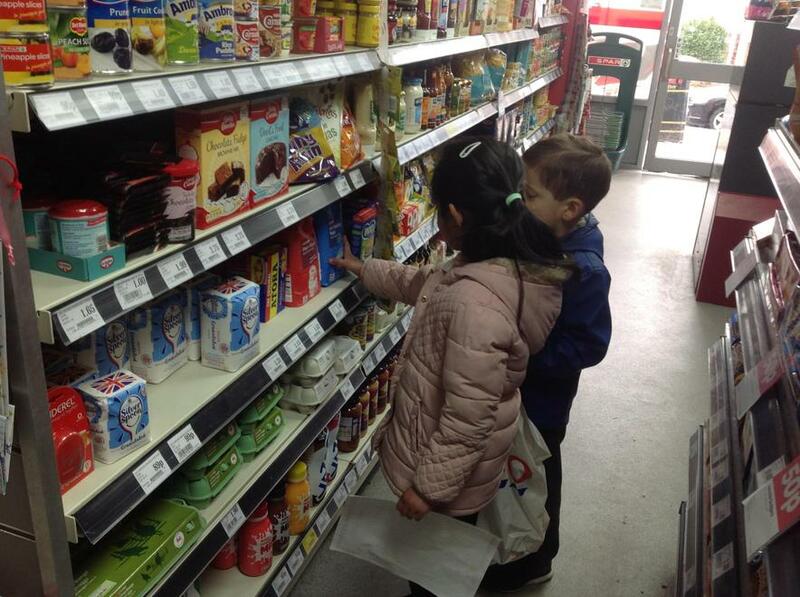 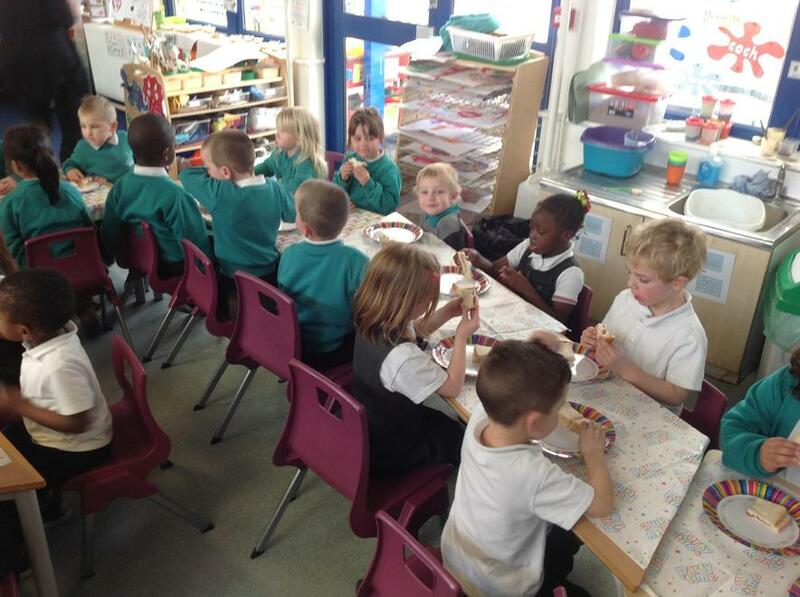 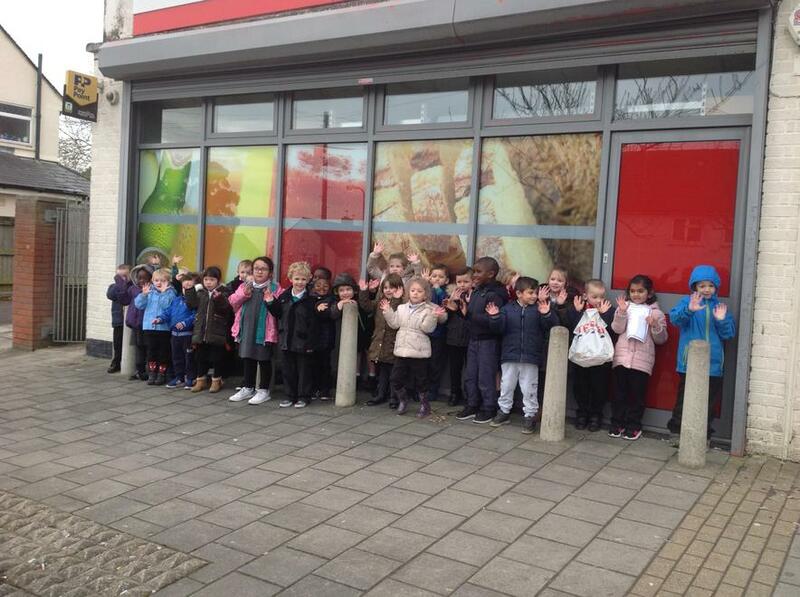 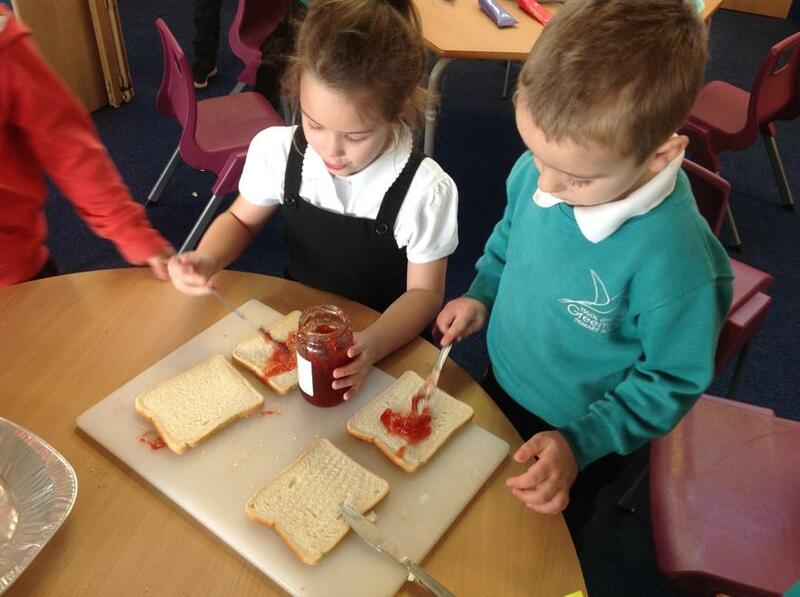 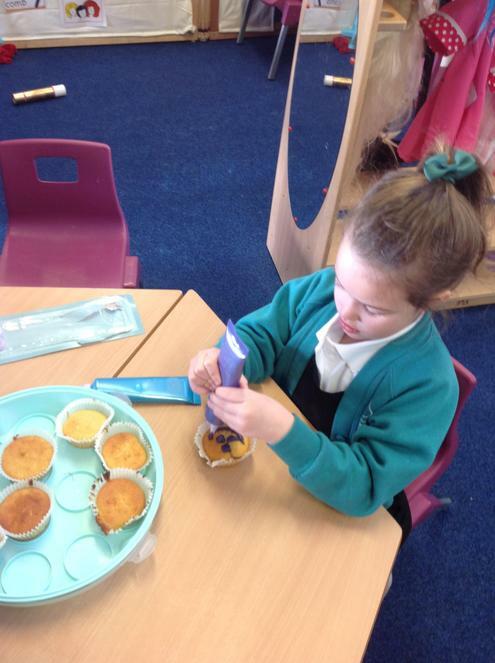 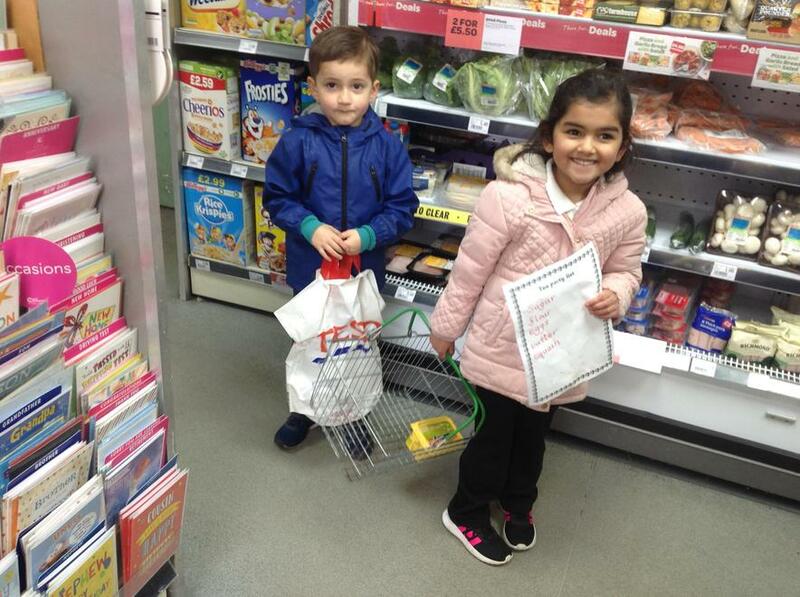 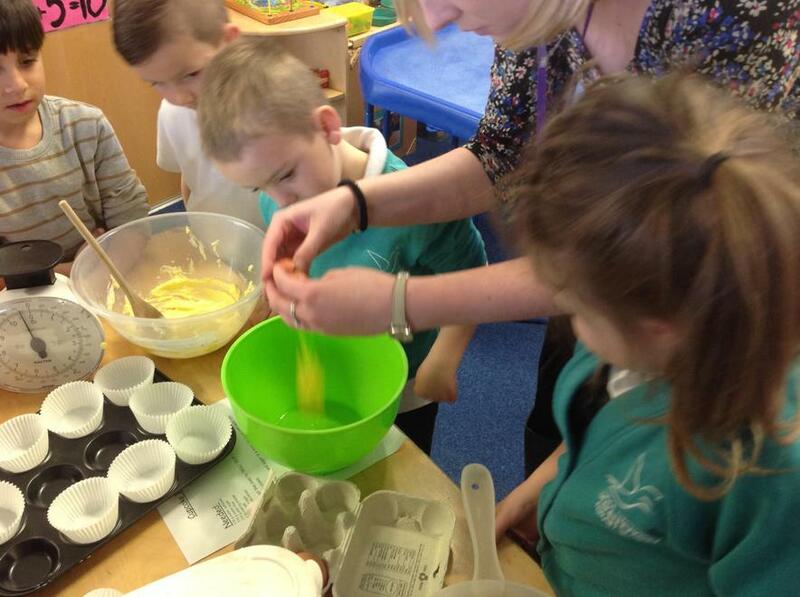 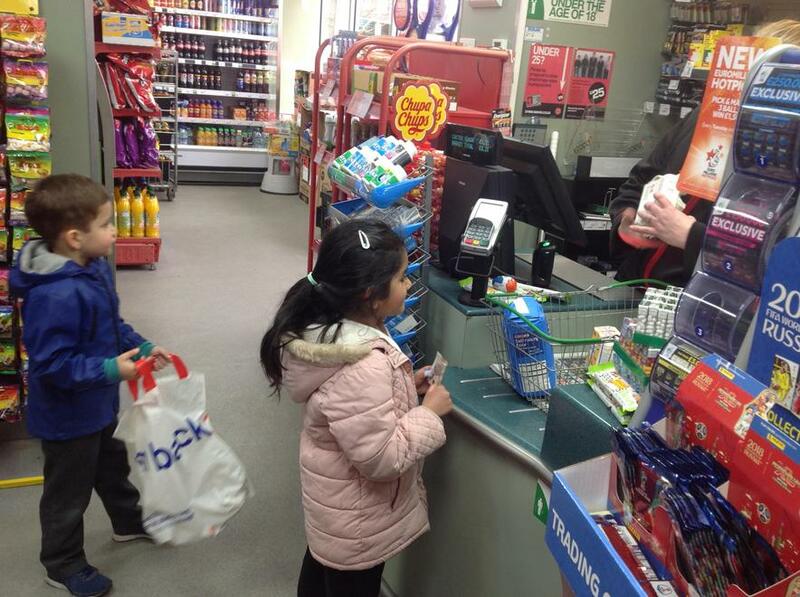 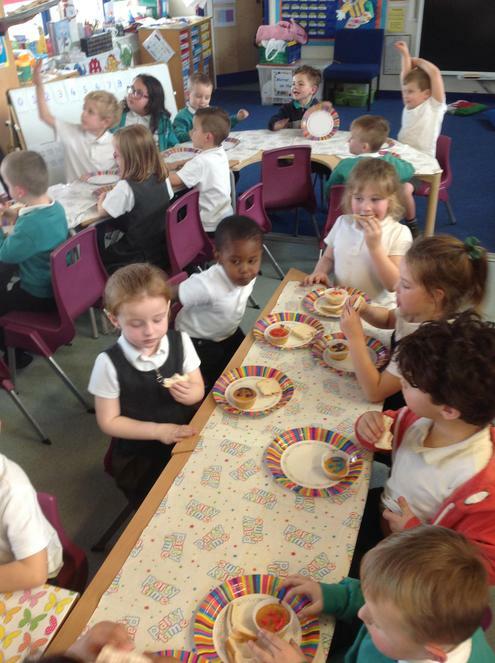 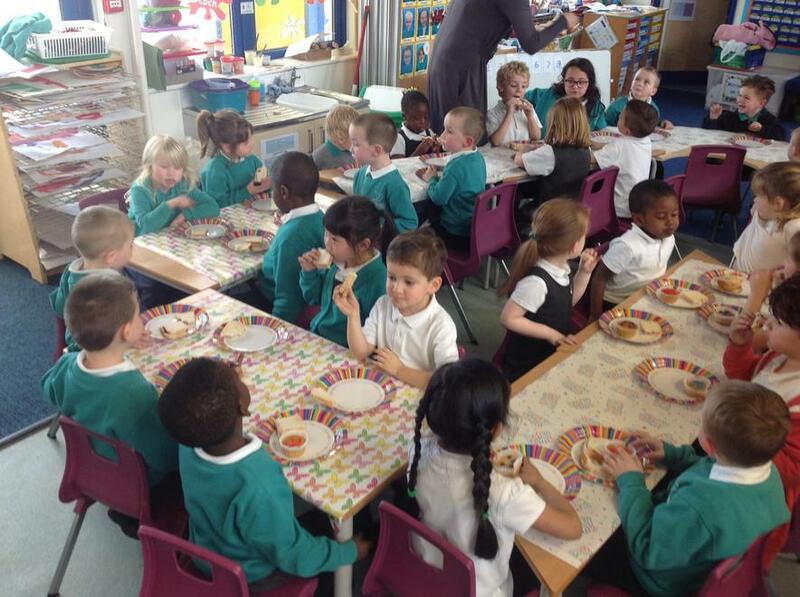 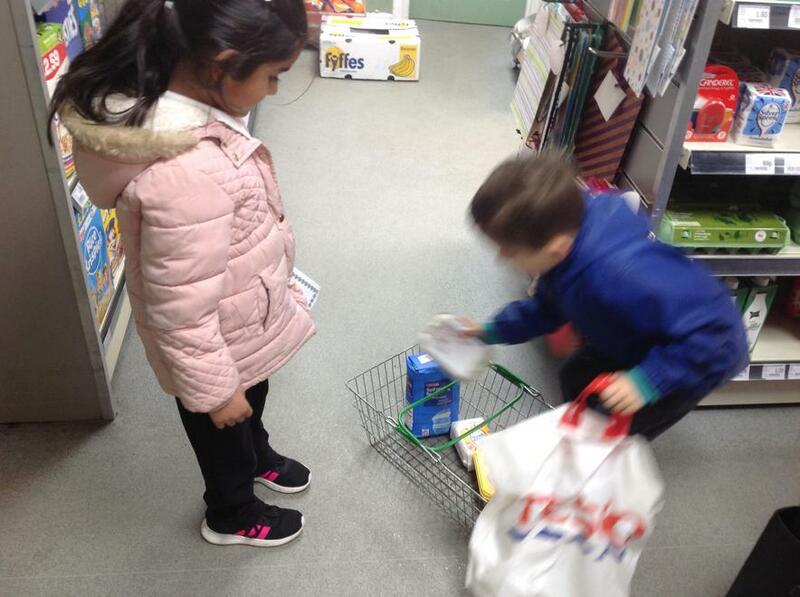 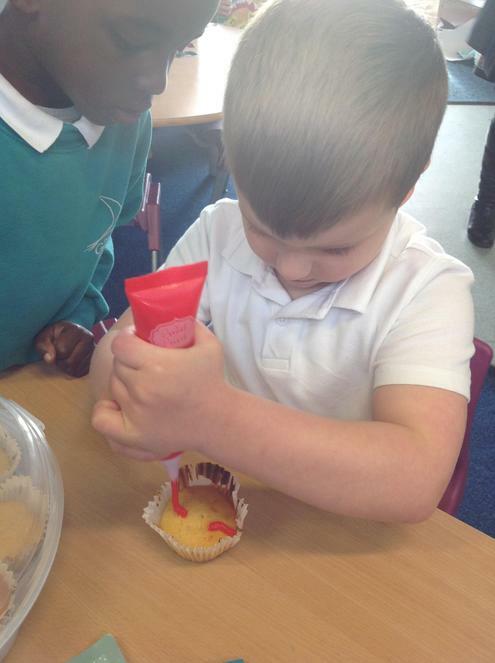 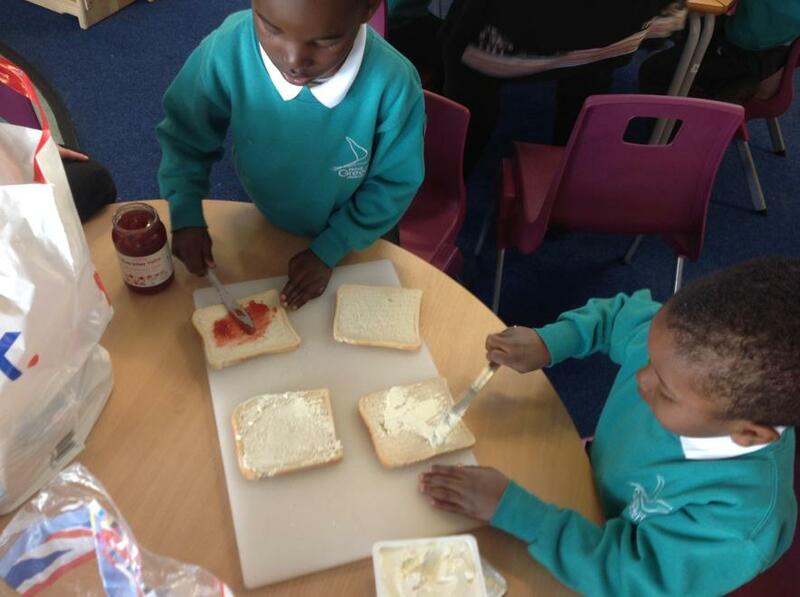 Building Blocks - This term we planned our very own party, we had so much fun writing invitations, going to the shop to buy ingredients, baking cakes and playing party games. 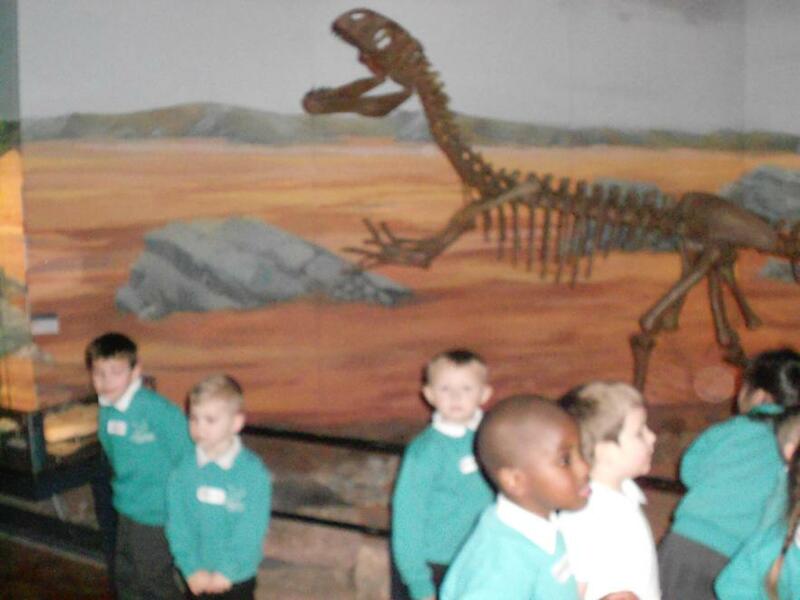 Our topic this term is 'Dinosaur Days'. 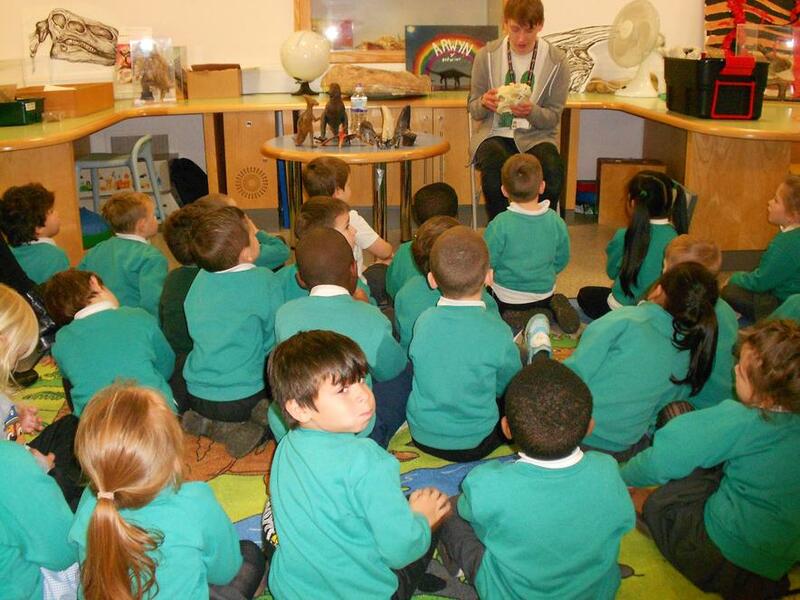 We will be looking at lot's of different books about dinosaurs. 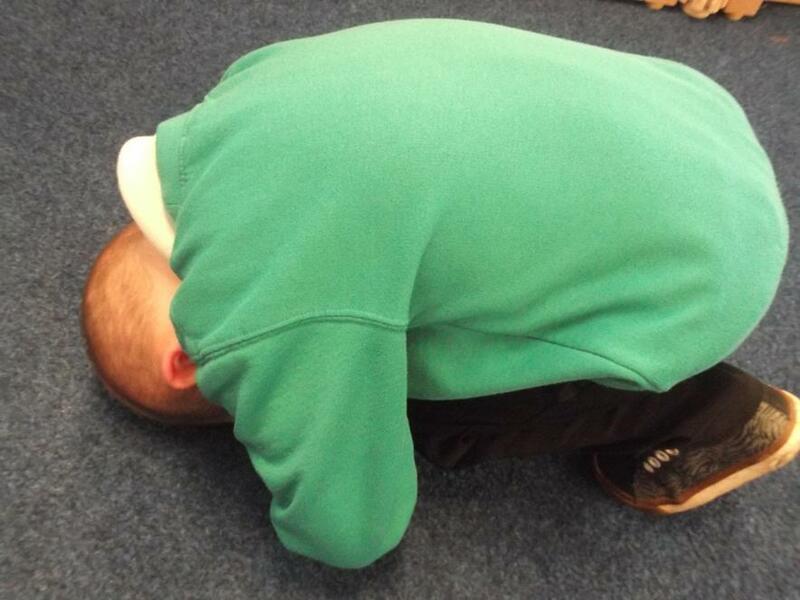 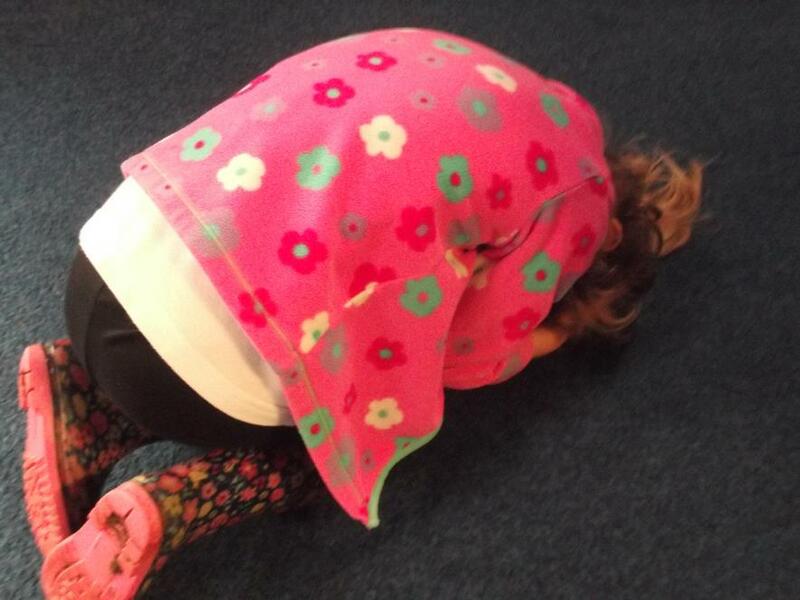 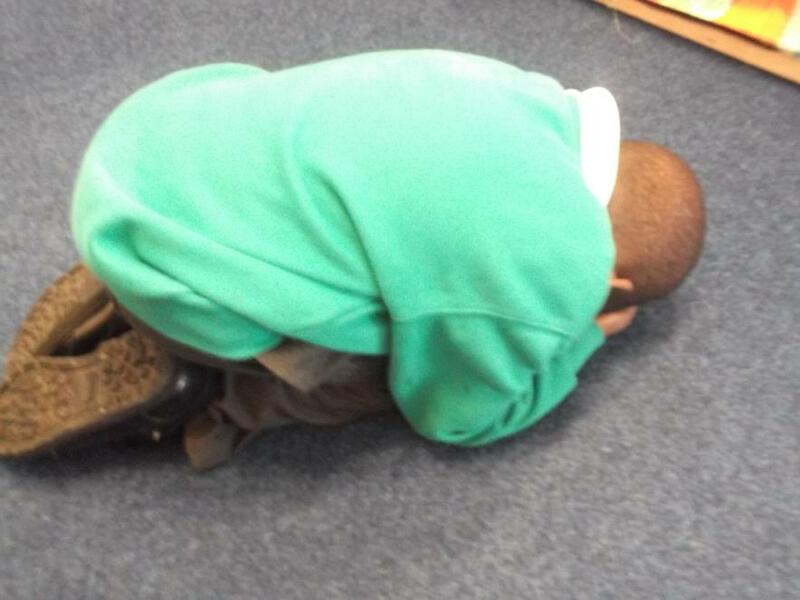 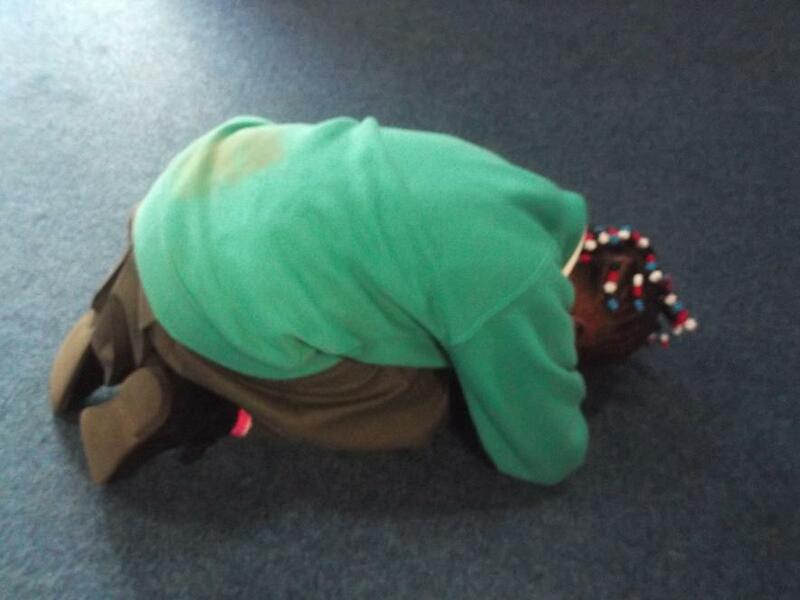 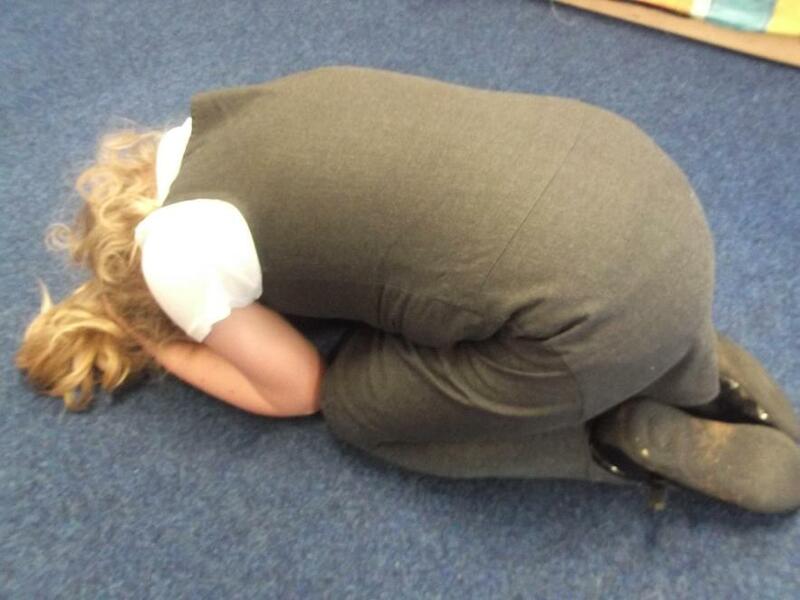 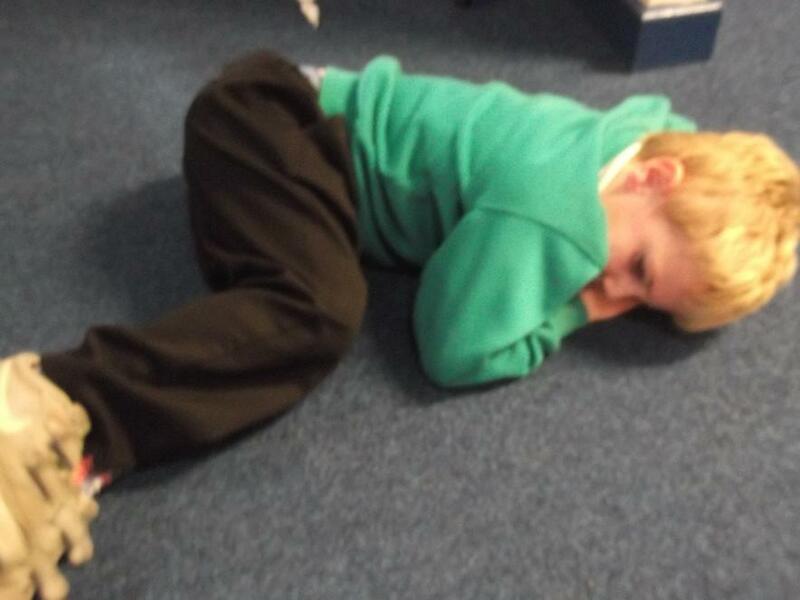 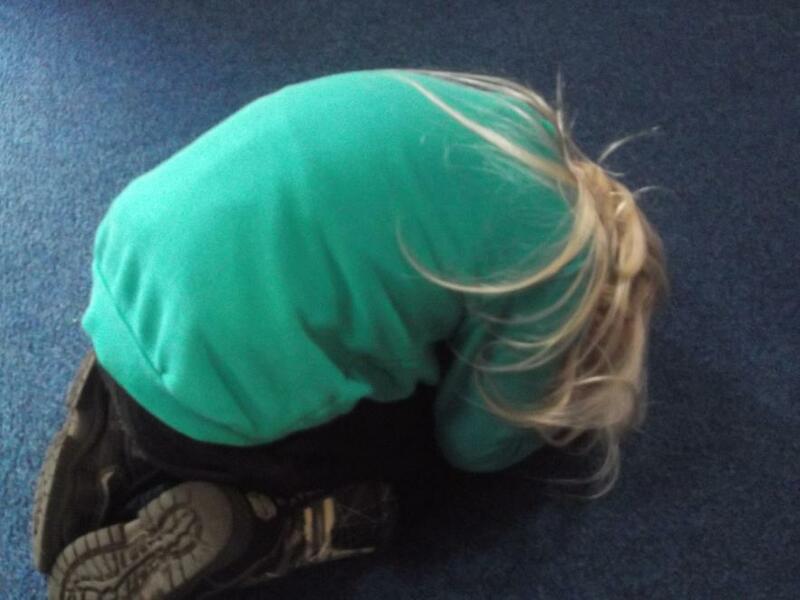 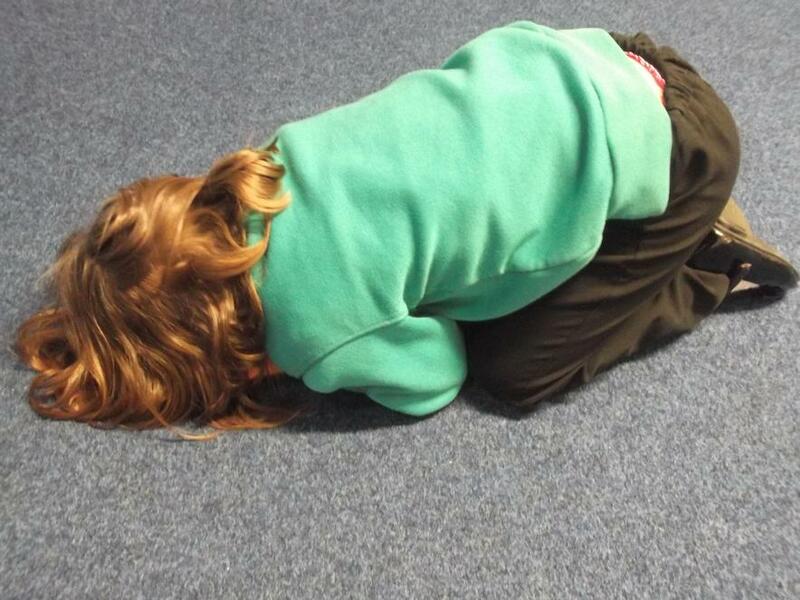 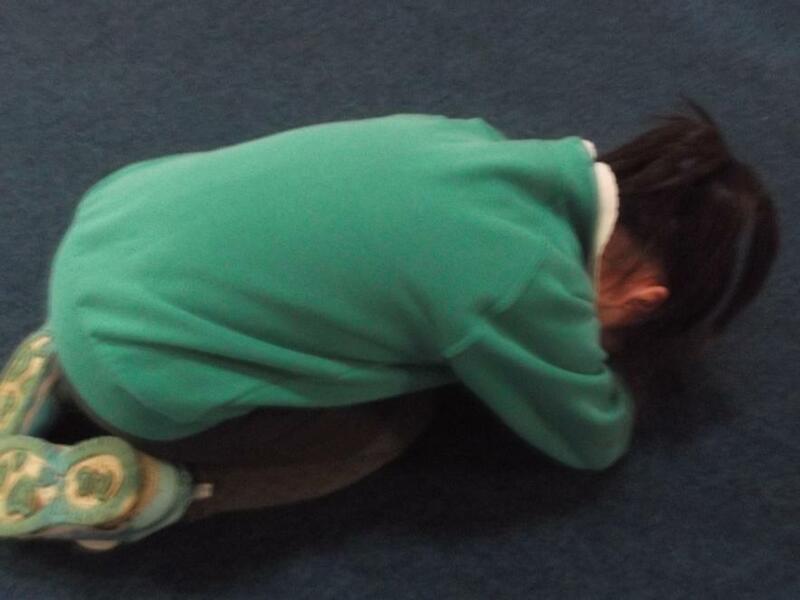 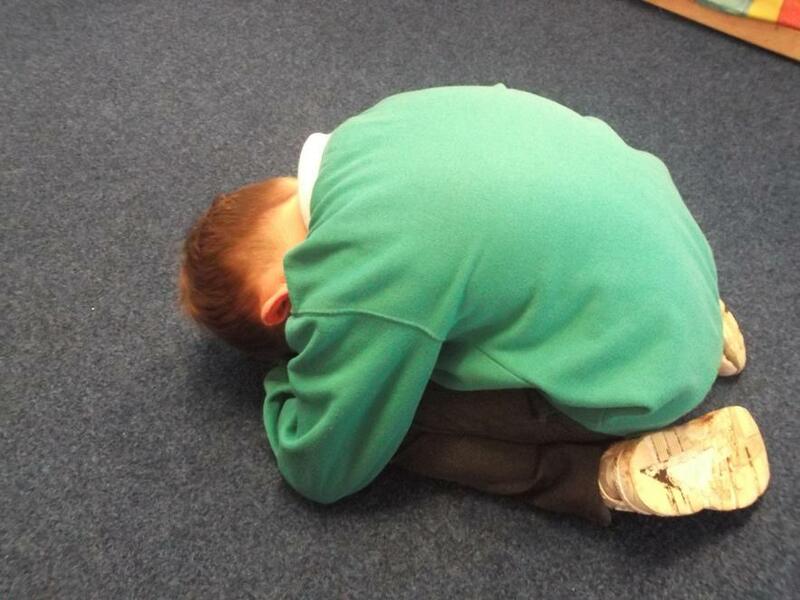 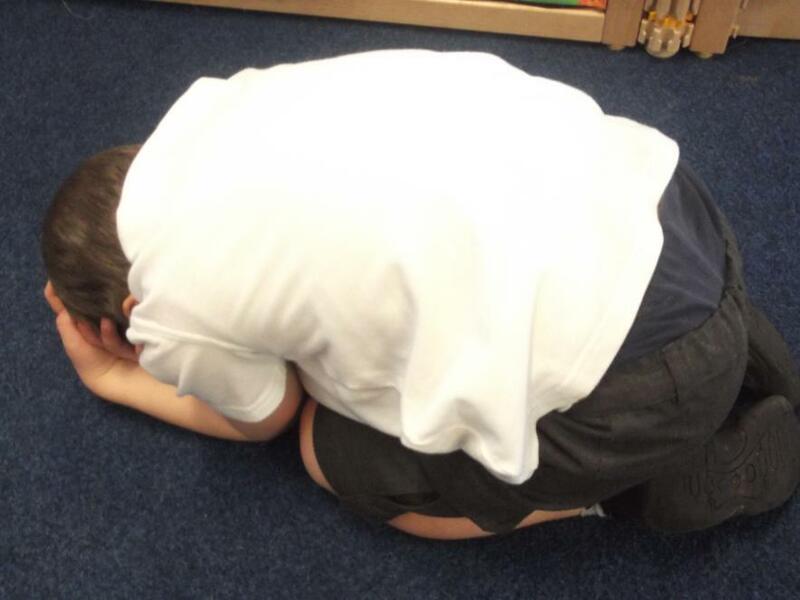 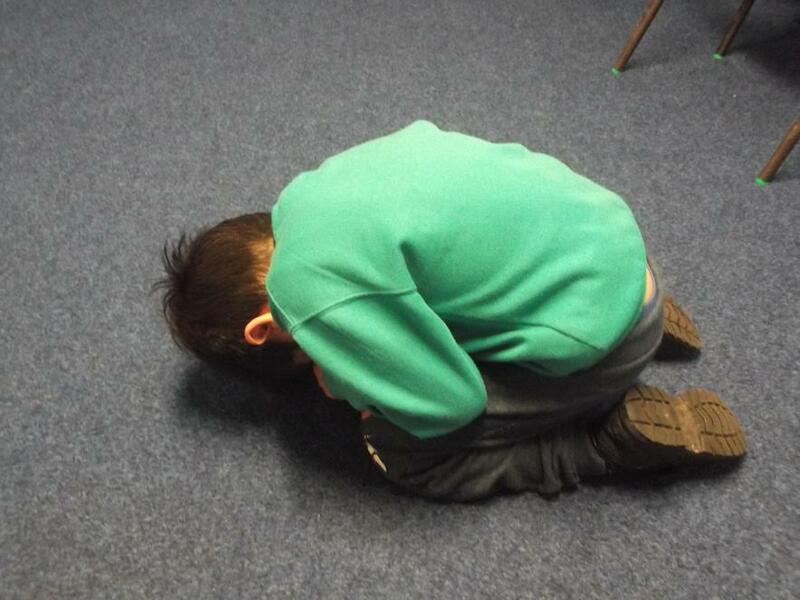 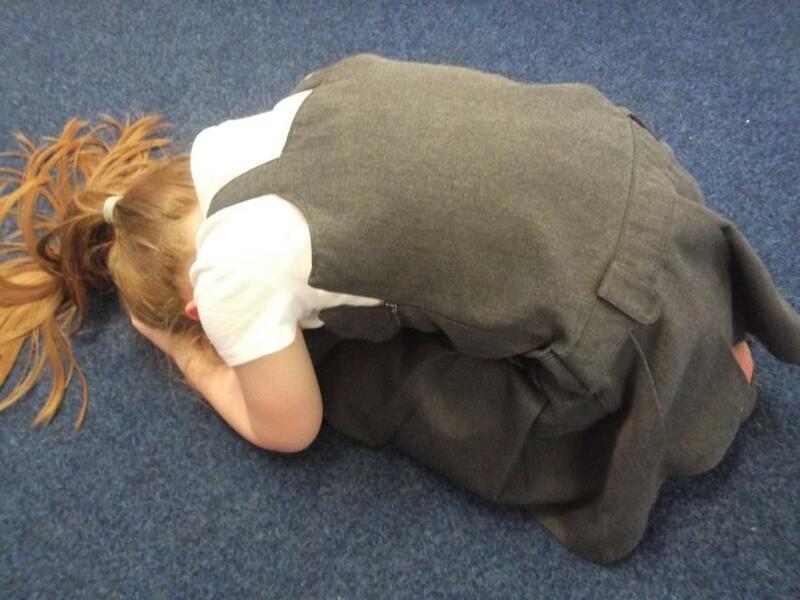 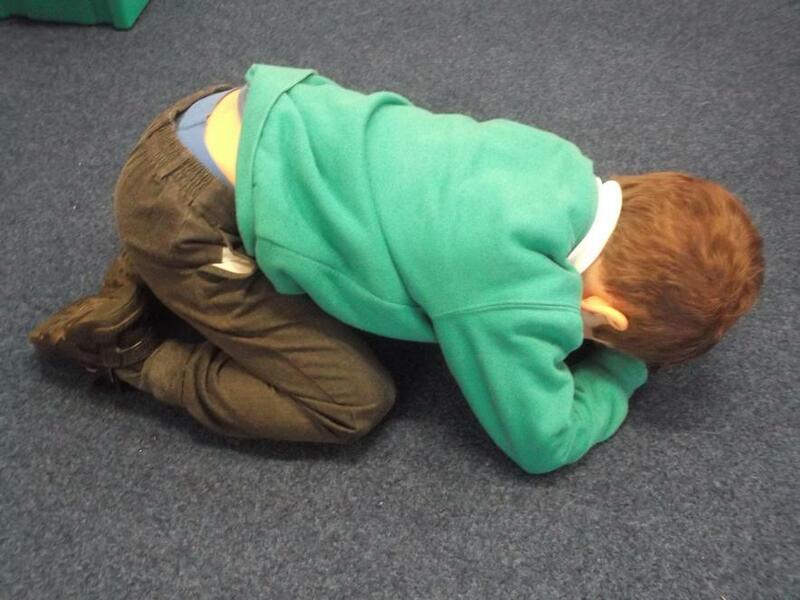 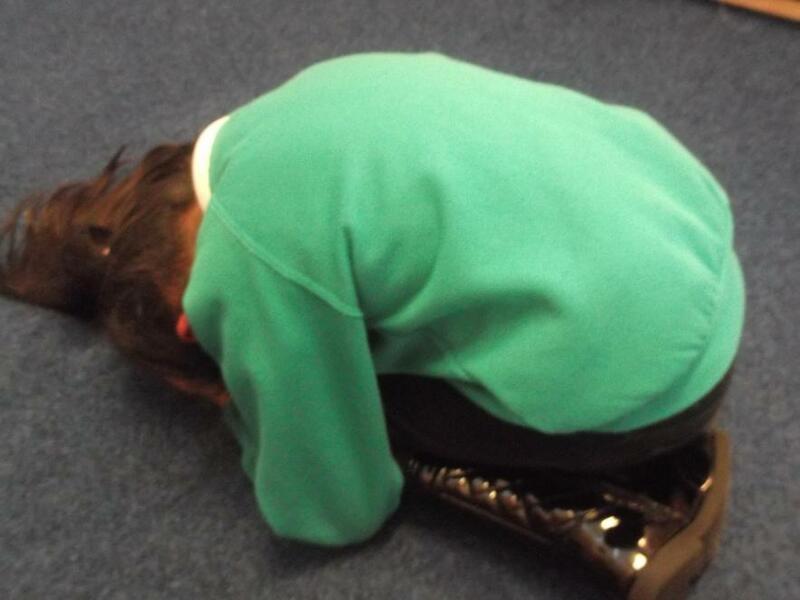 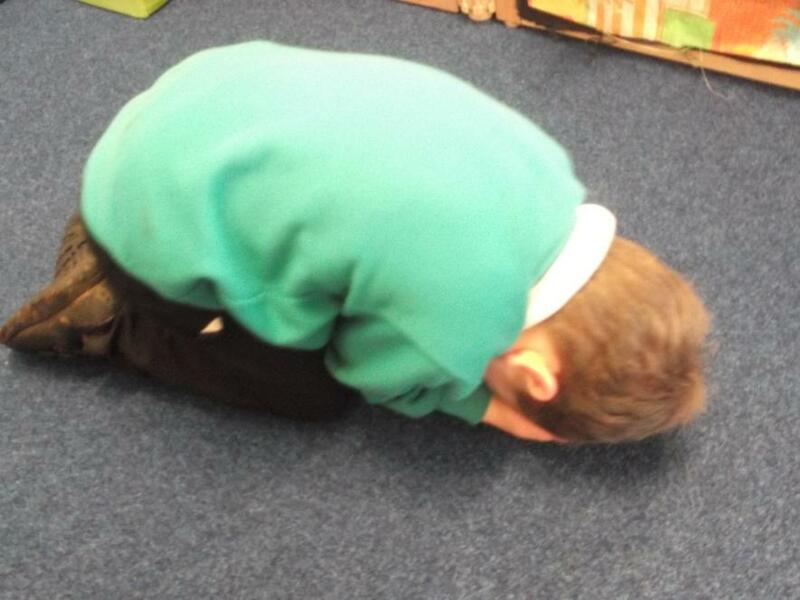 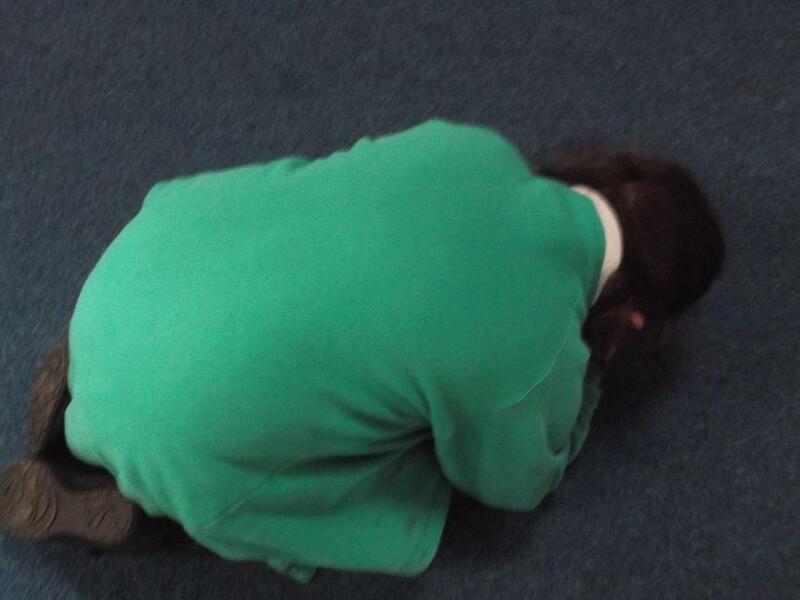 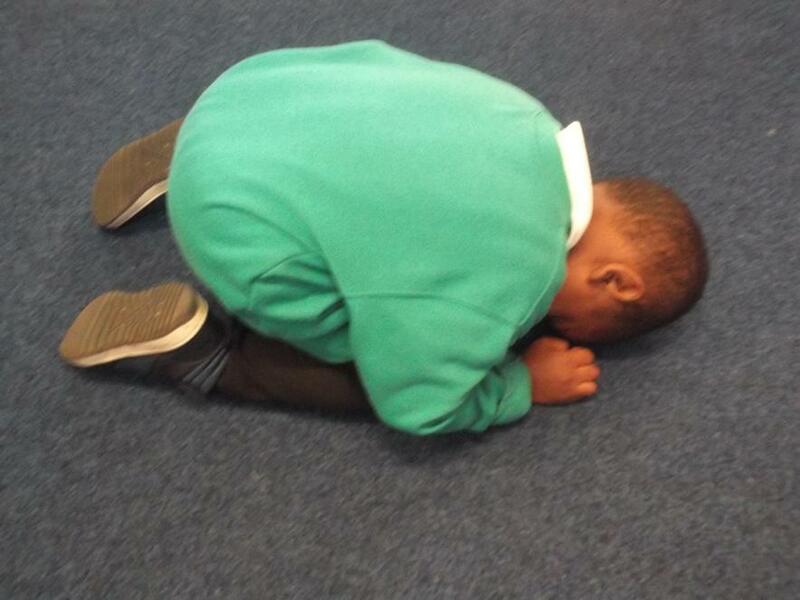 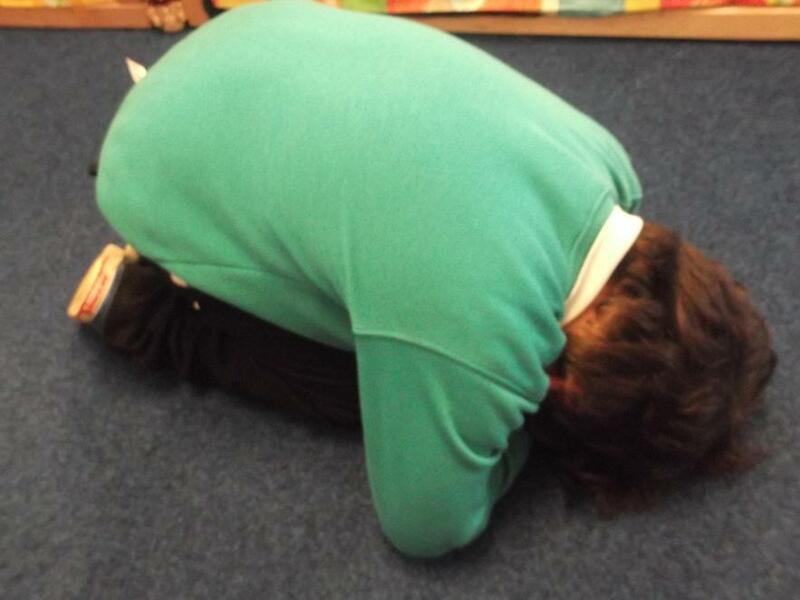 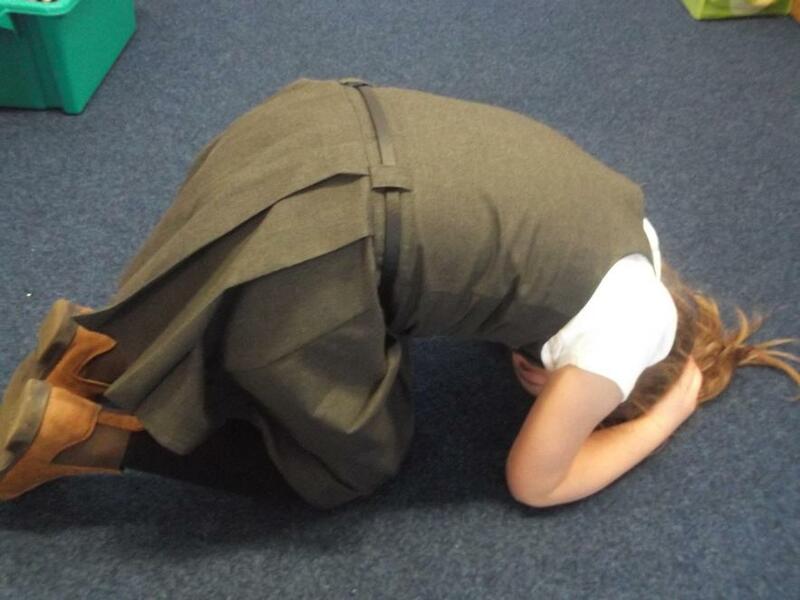 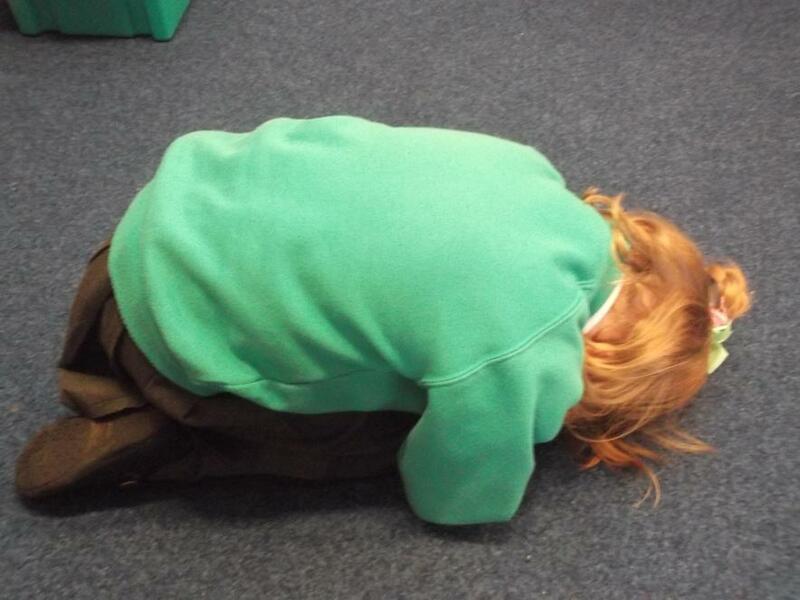 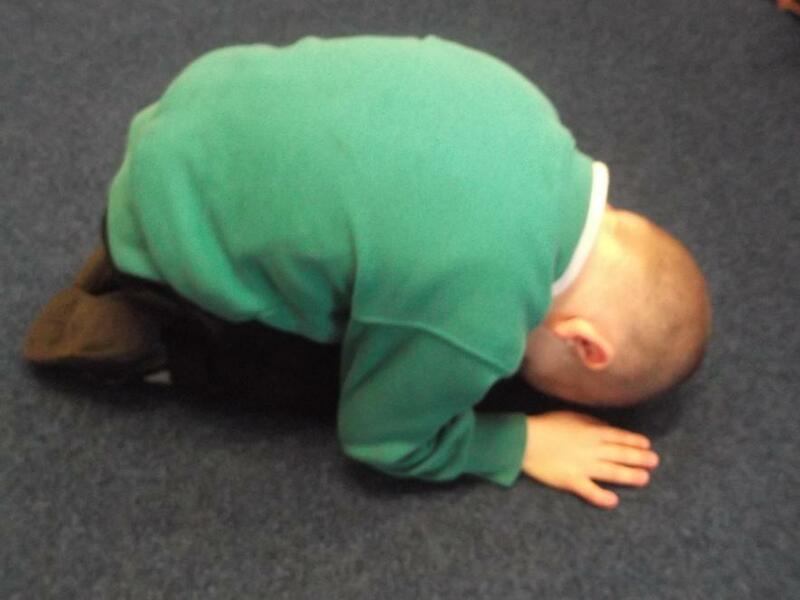 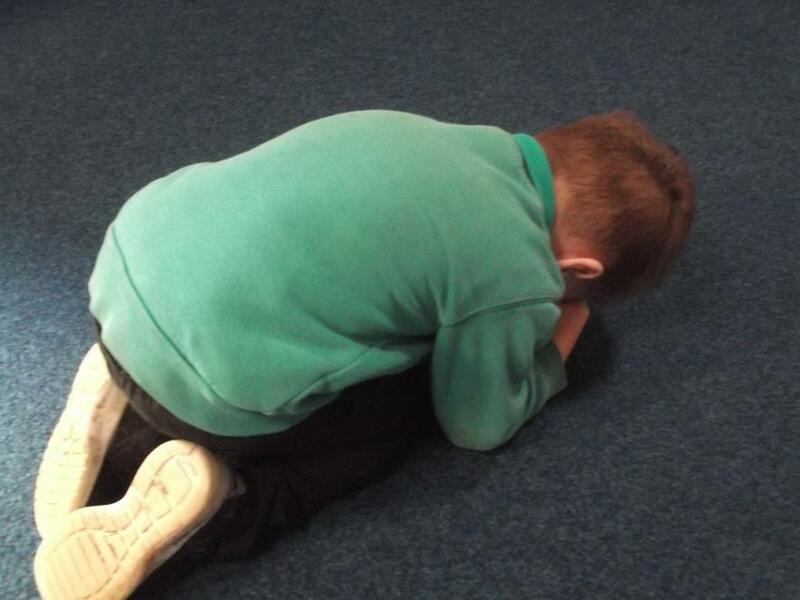 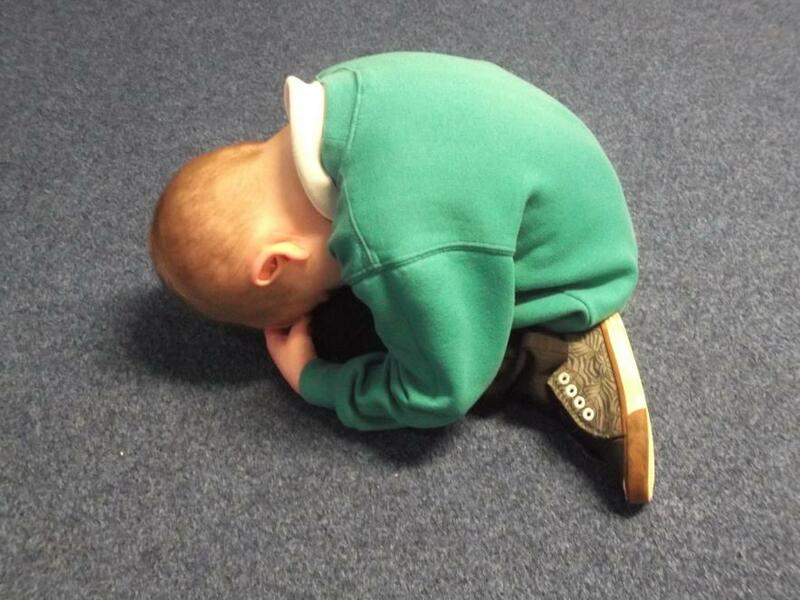 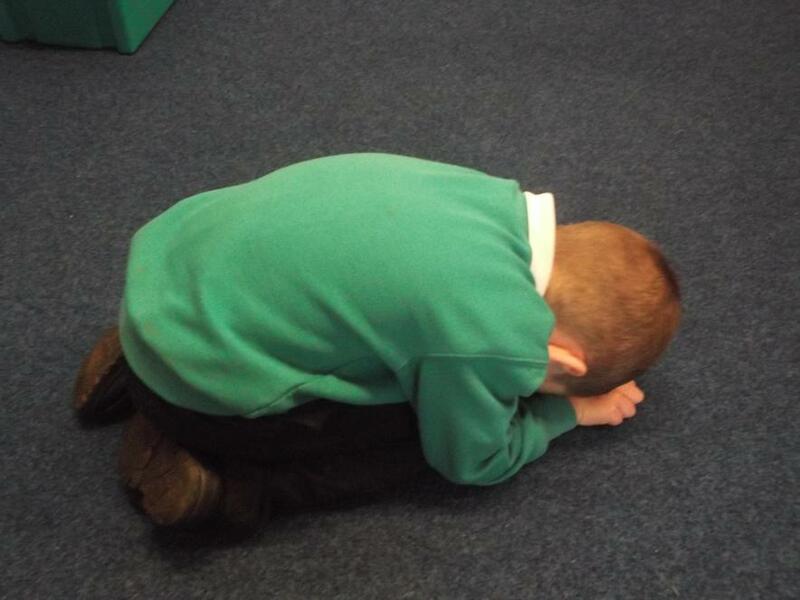 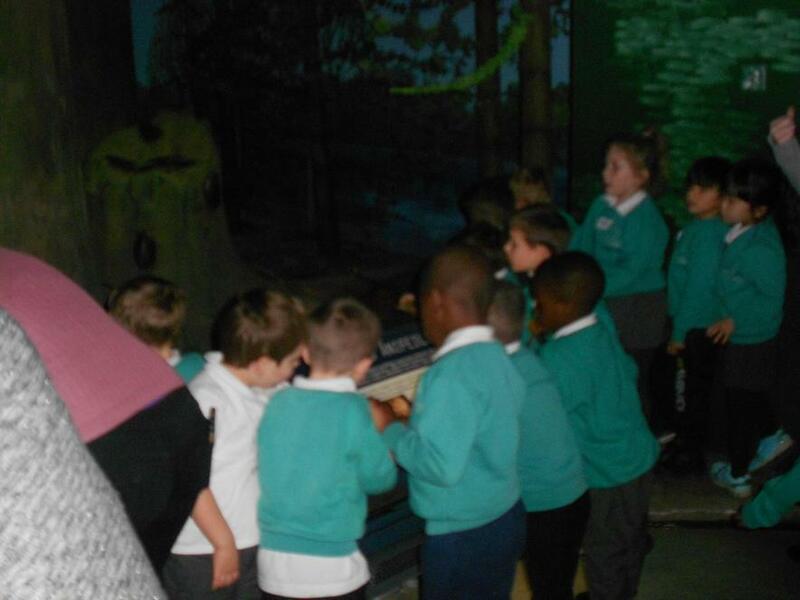 We have been pretending we are inside a dinosaur egg. 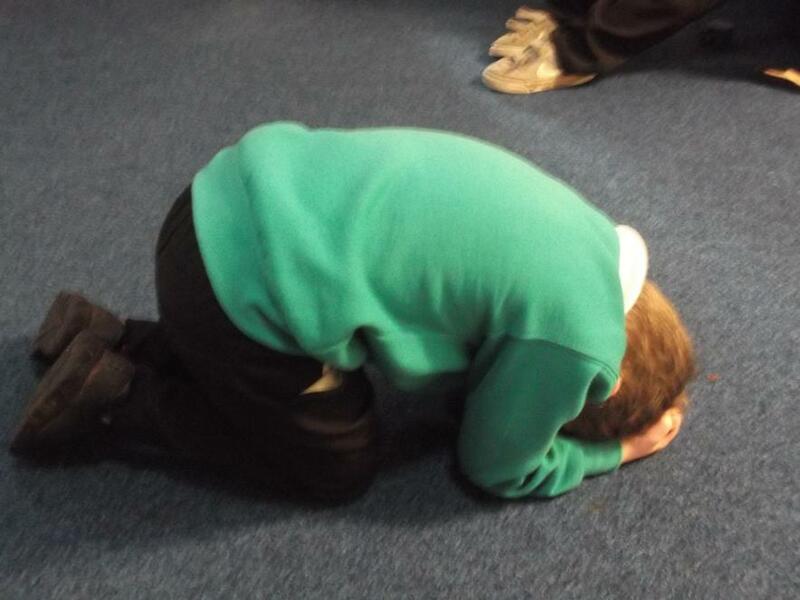 We have come up with some amazing words to describe how it felt. 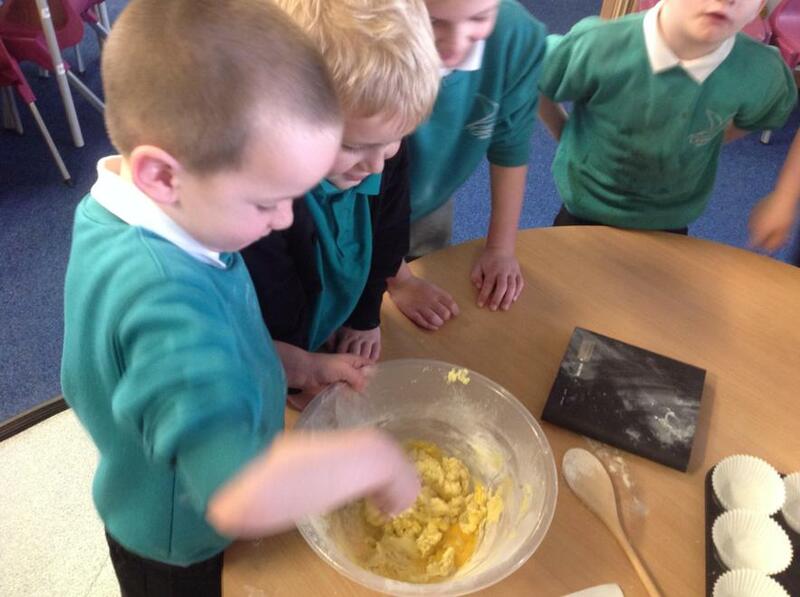 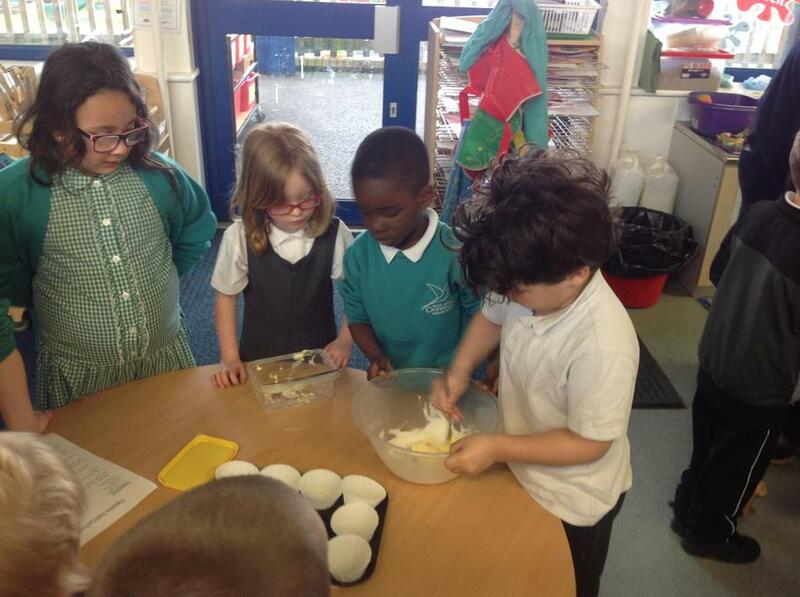 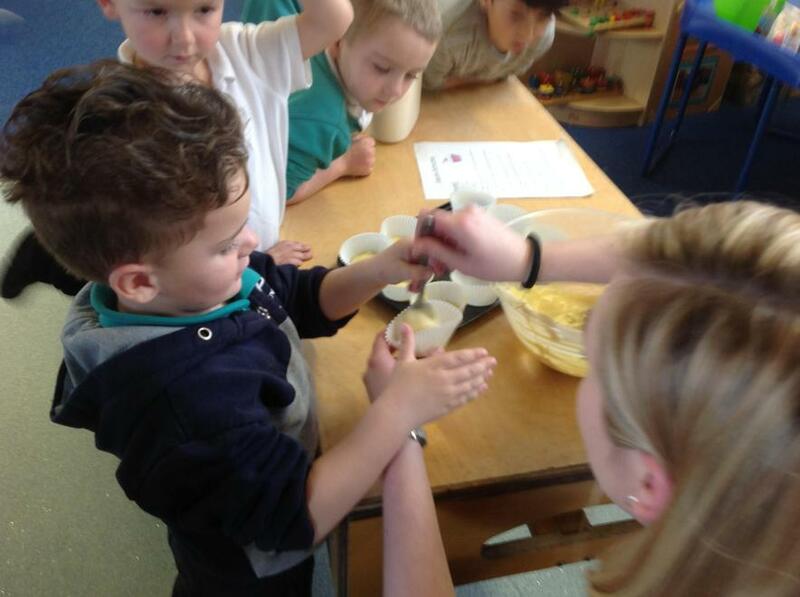 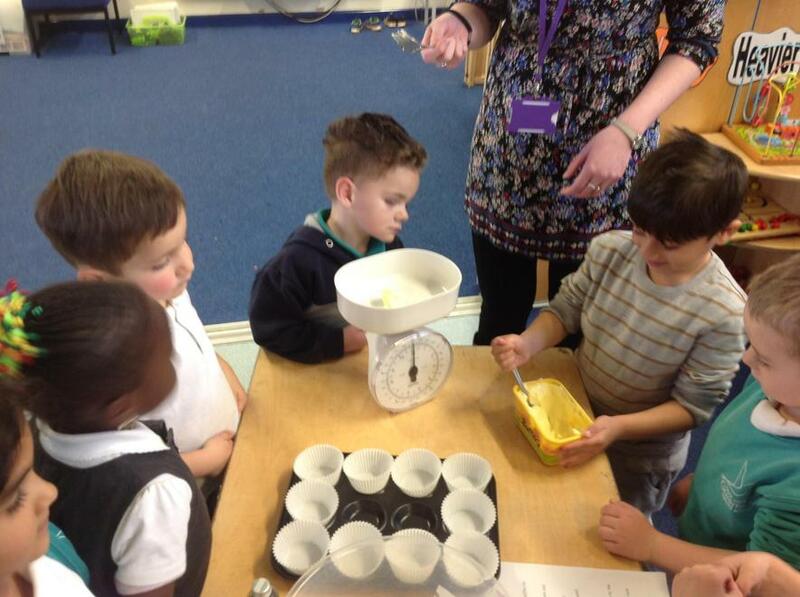 We used our investigation and team working skills to hatch the dinosaur eggs made of ice. 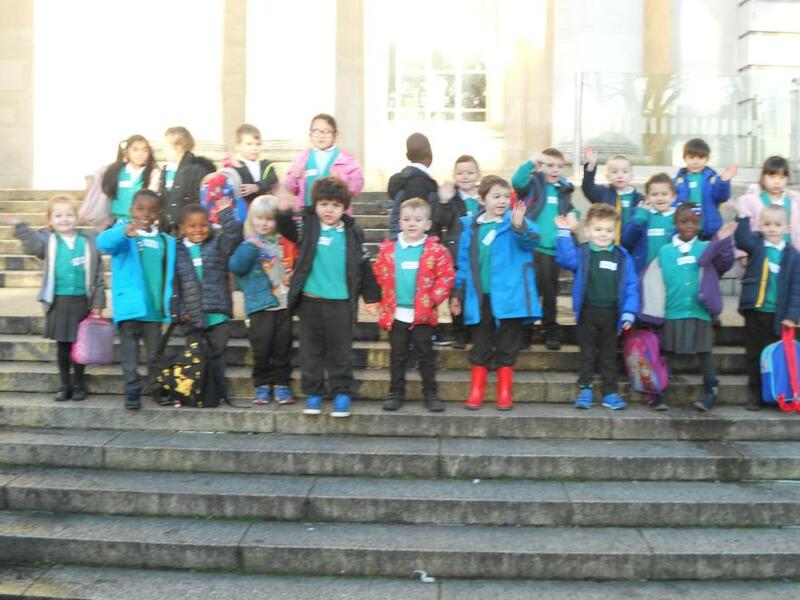 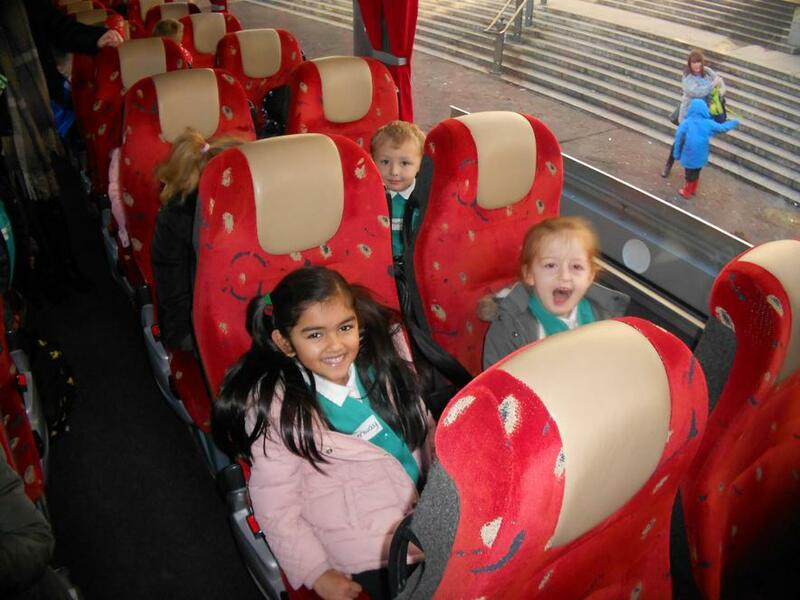 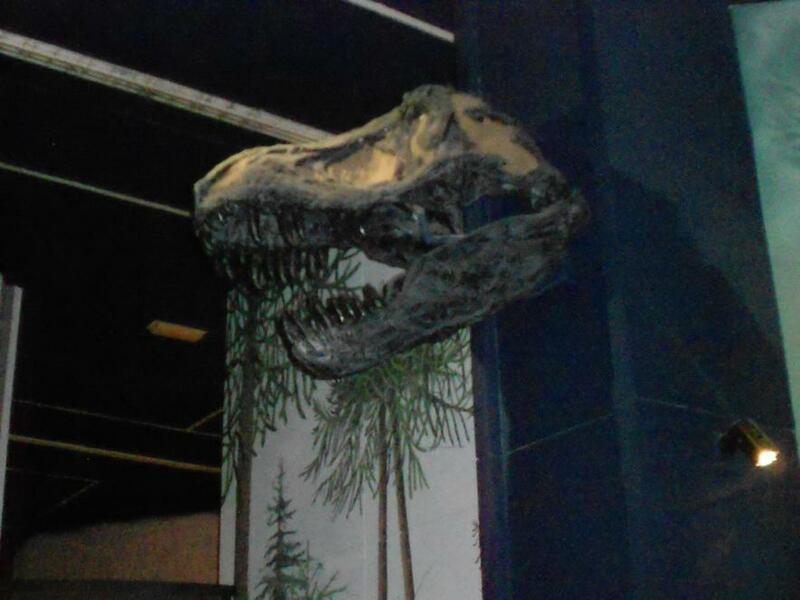 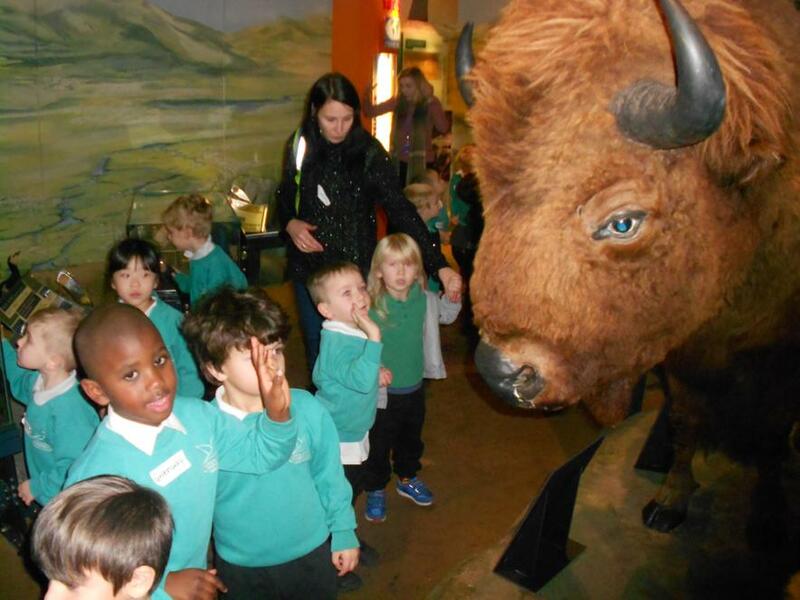 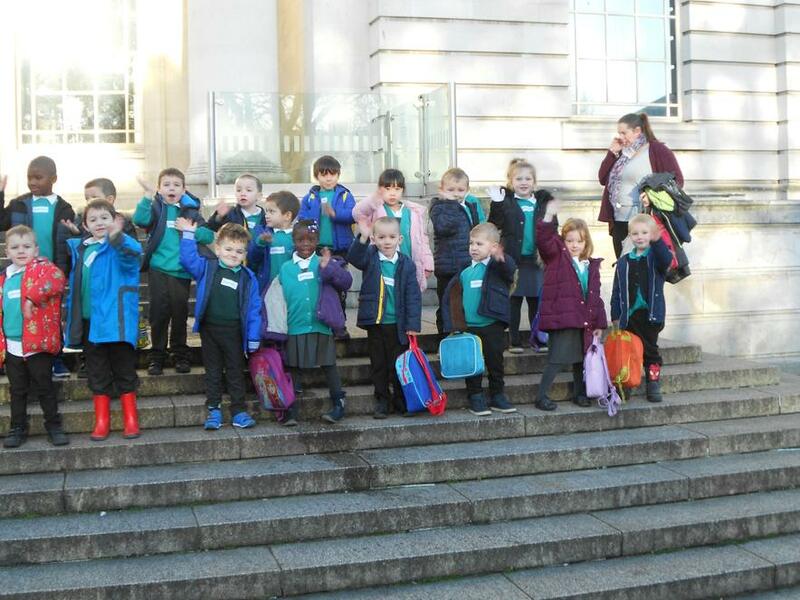 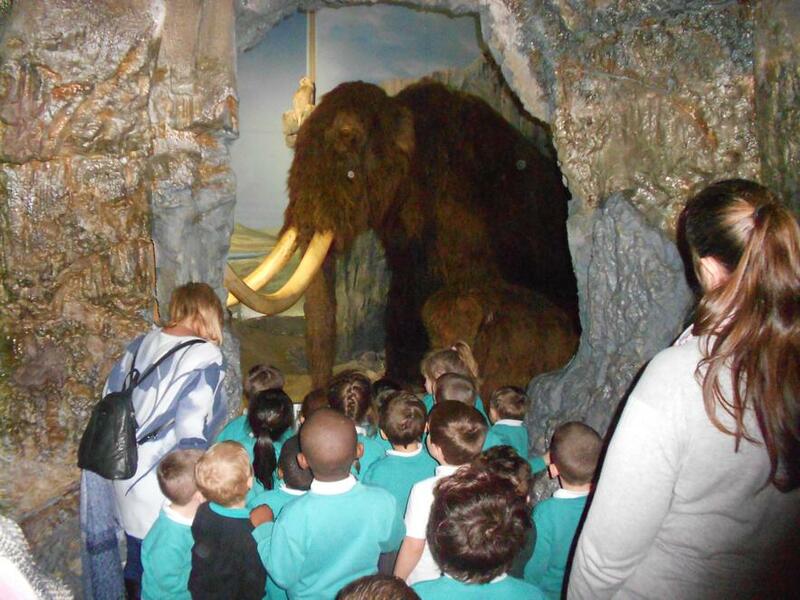 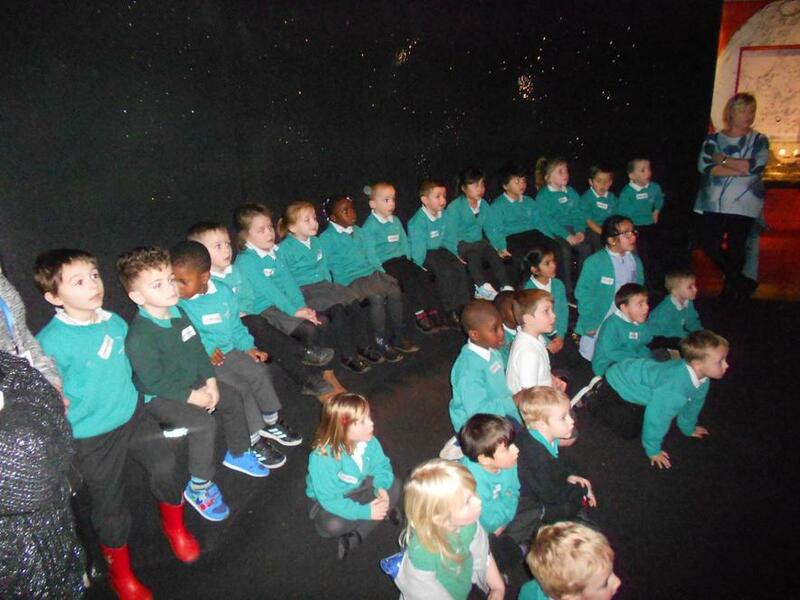 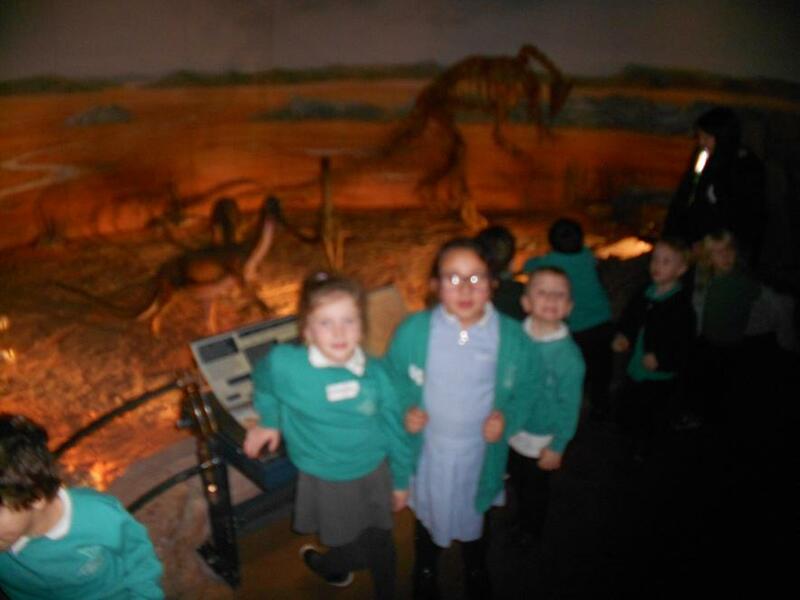 We had lot's of fun on our day out to the museum! 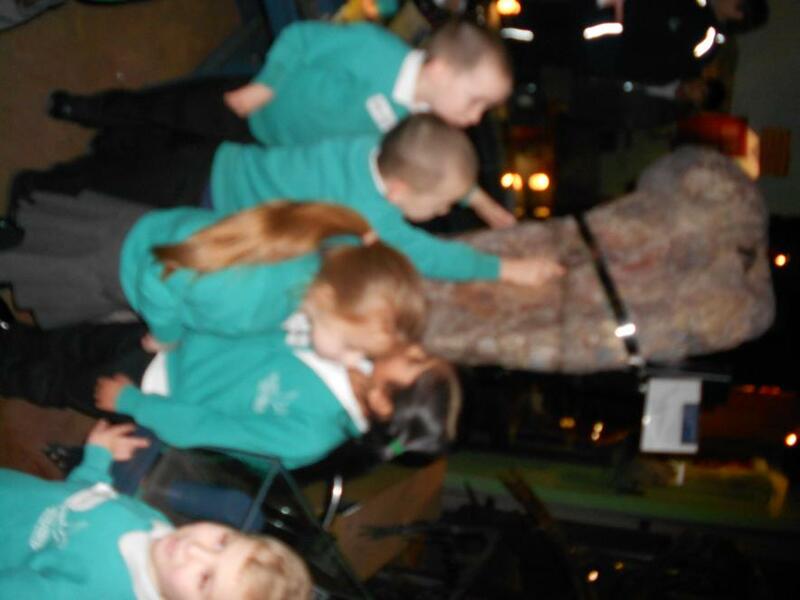 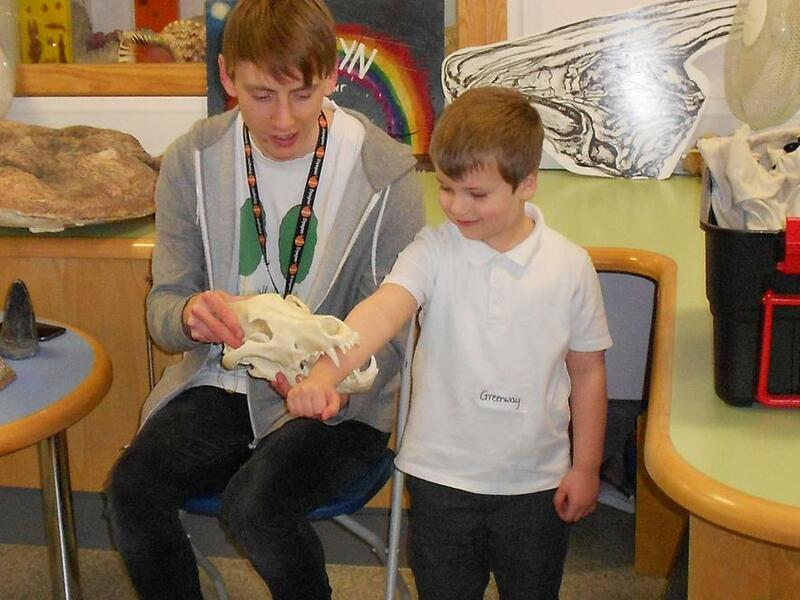 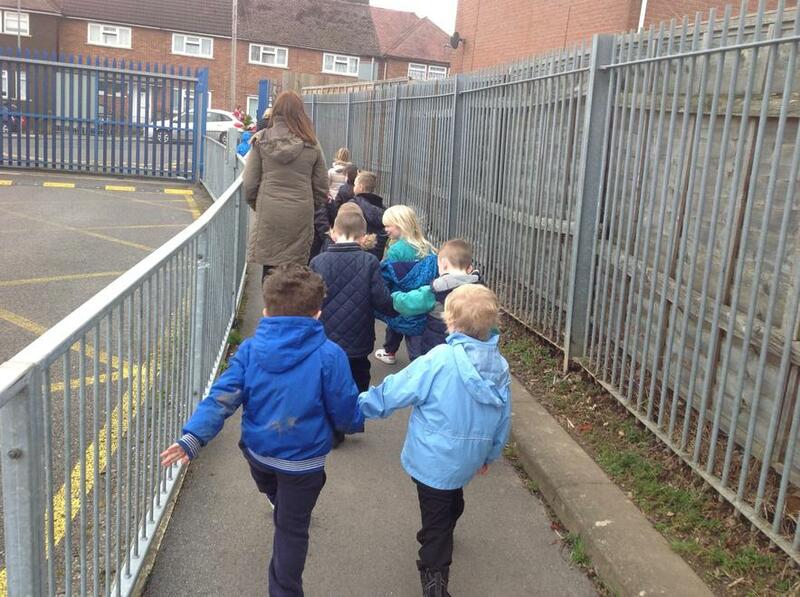 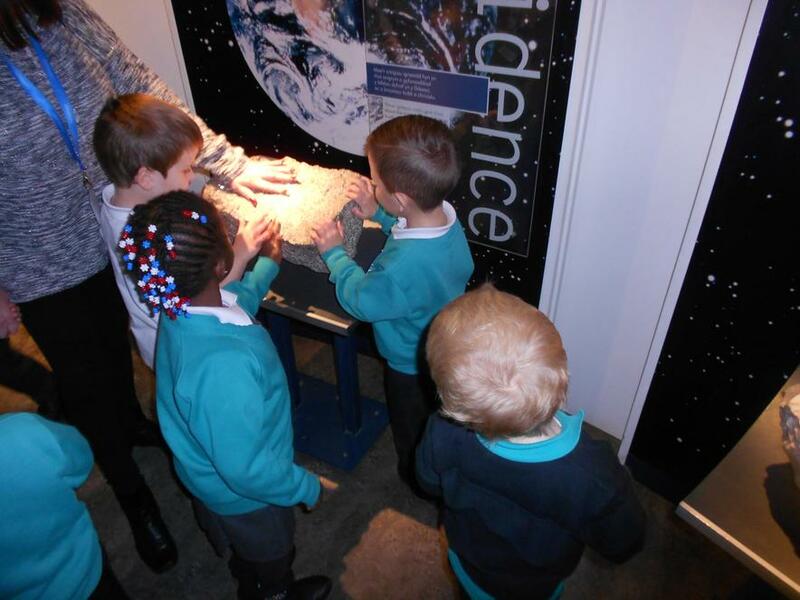 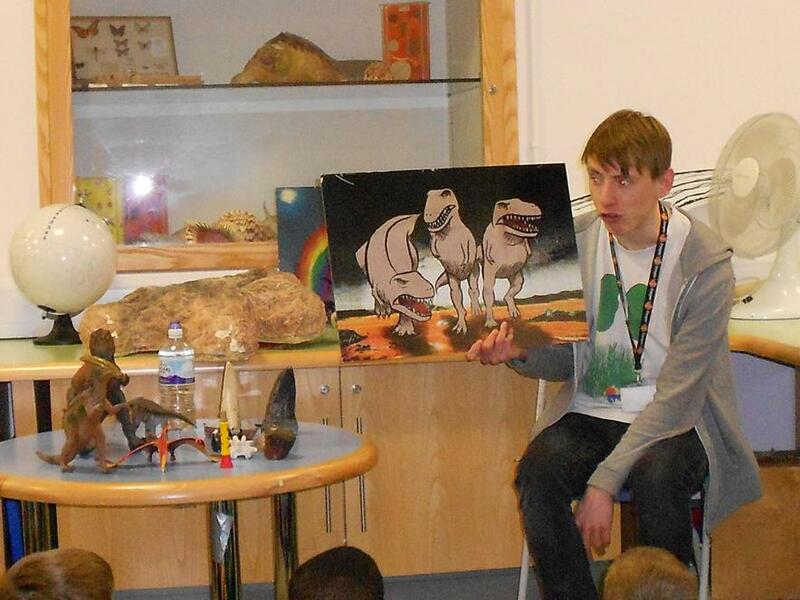 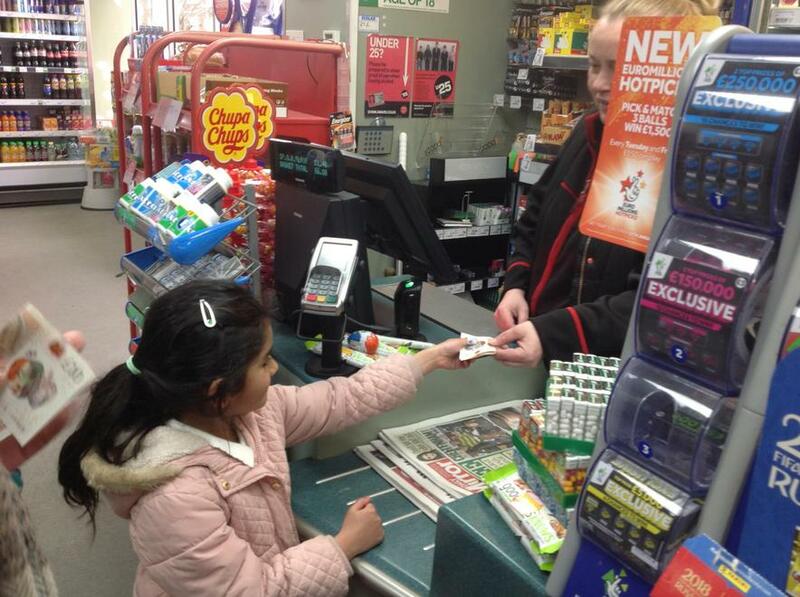 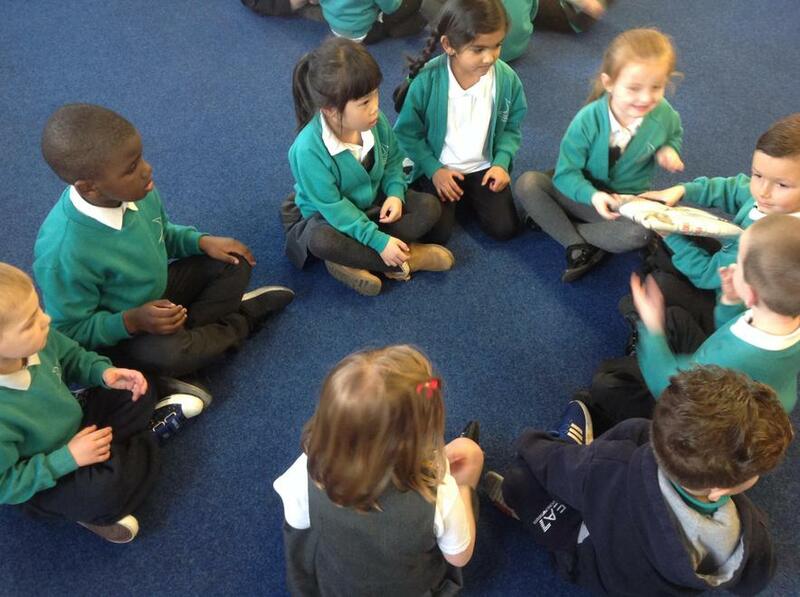 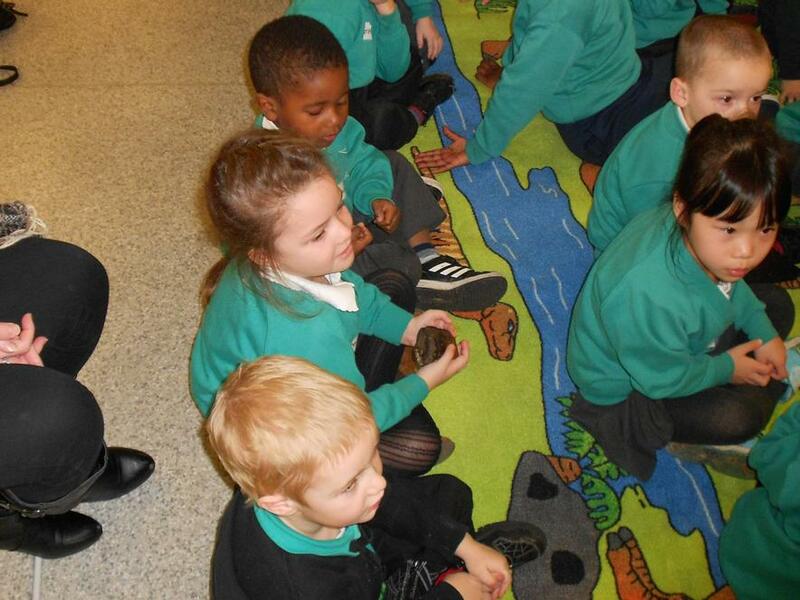 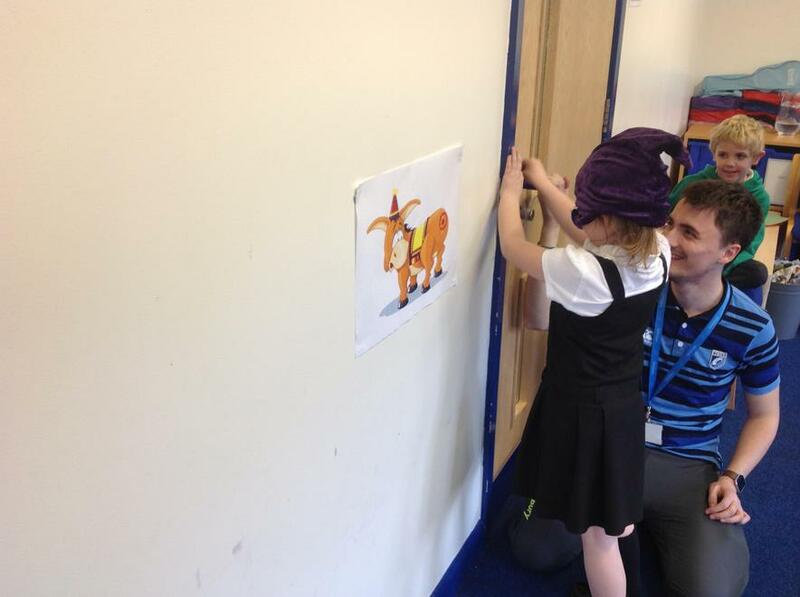 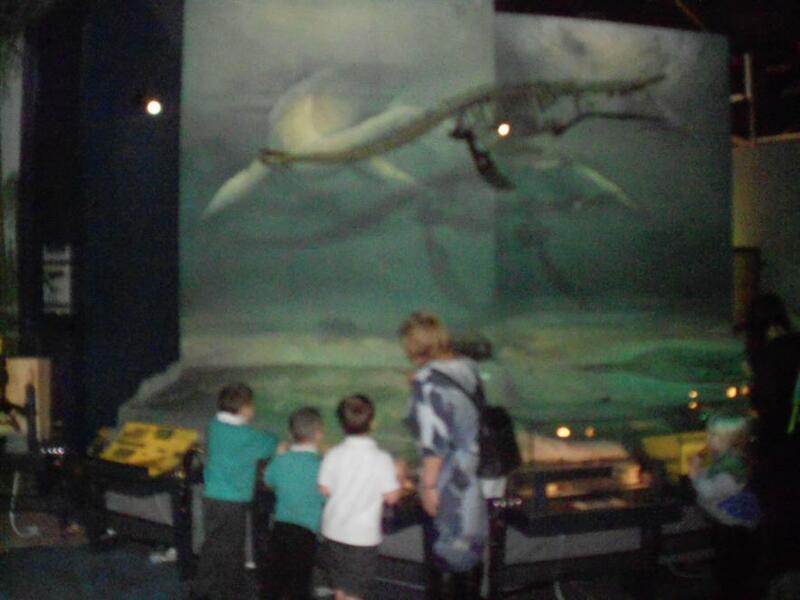 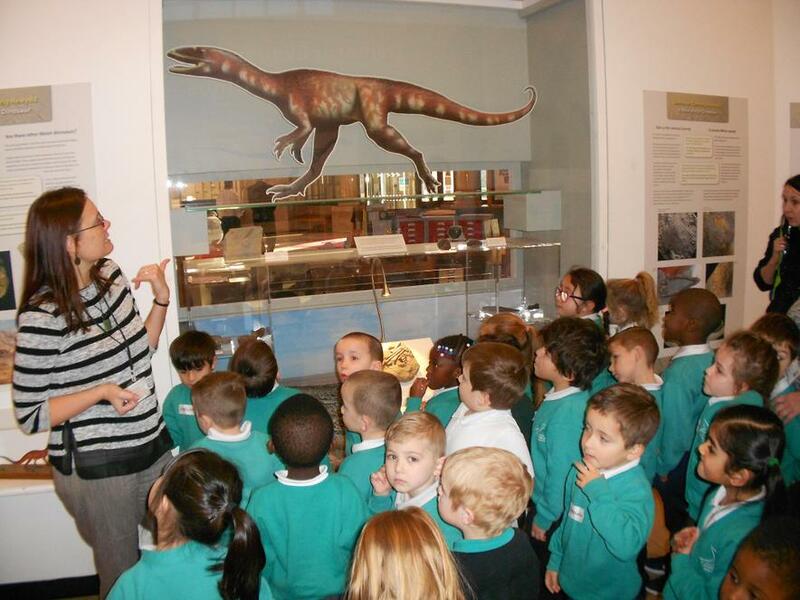 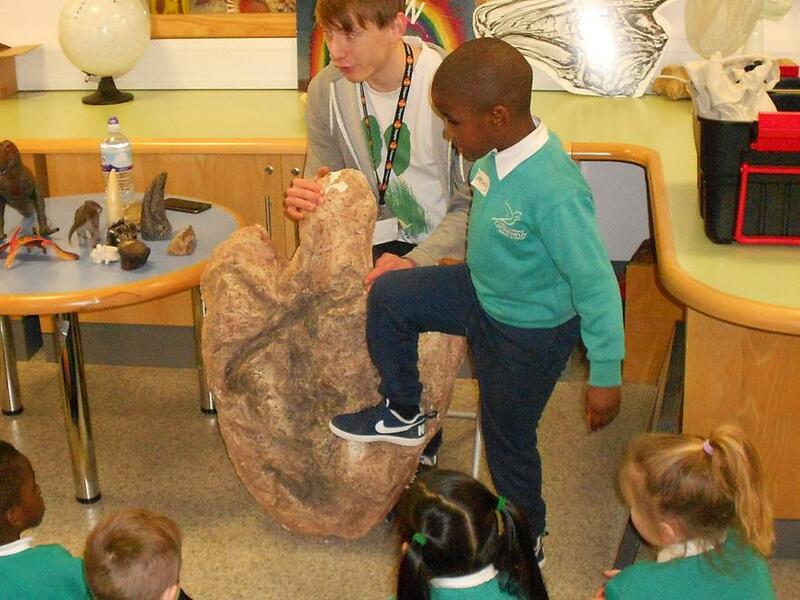 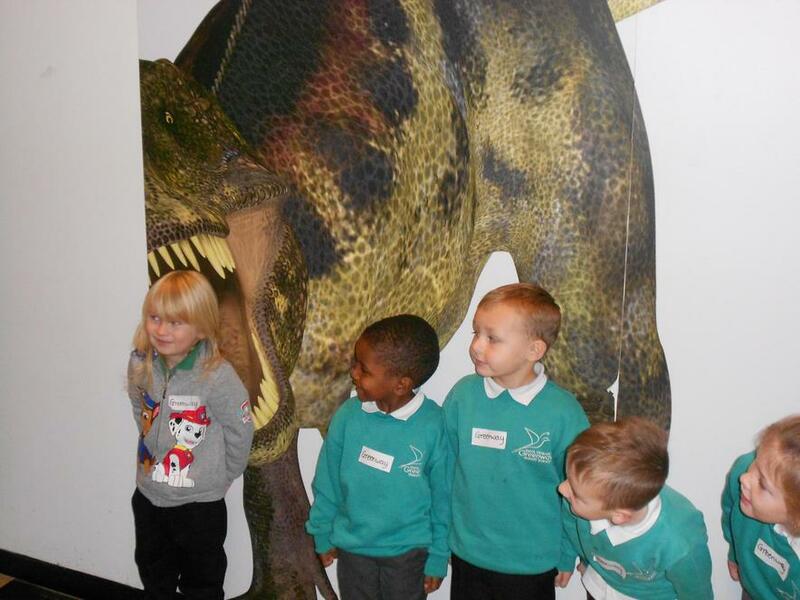 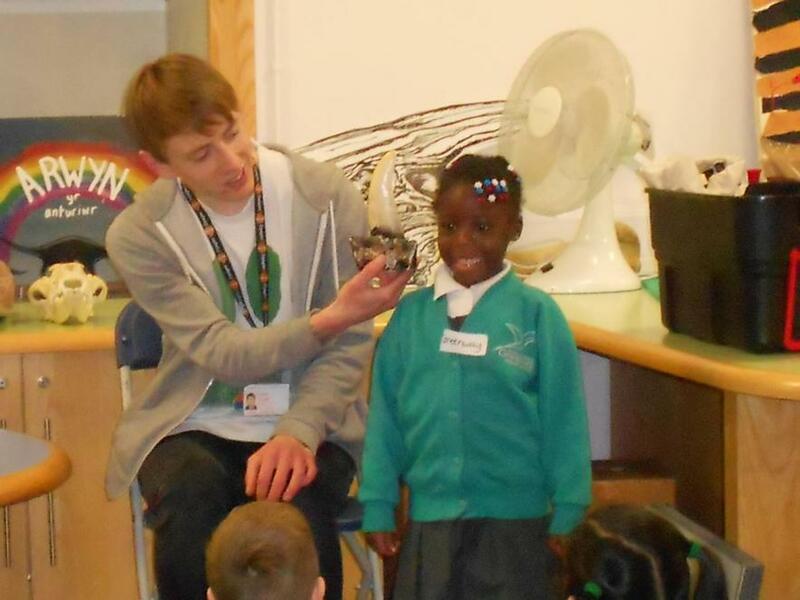 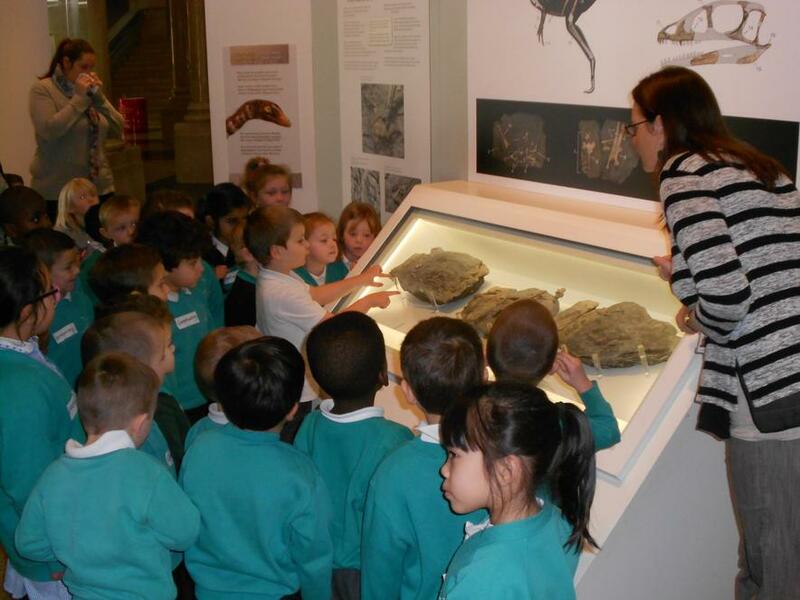 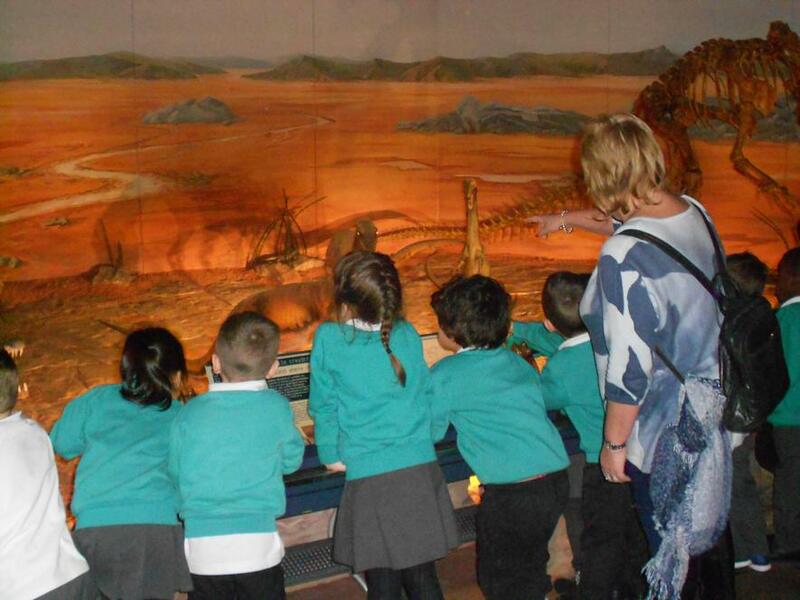 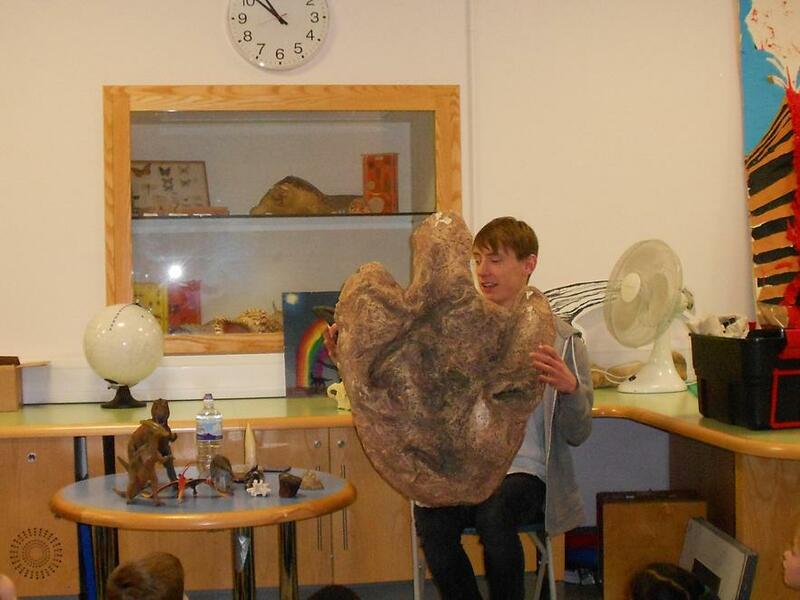 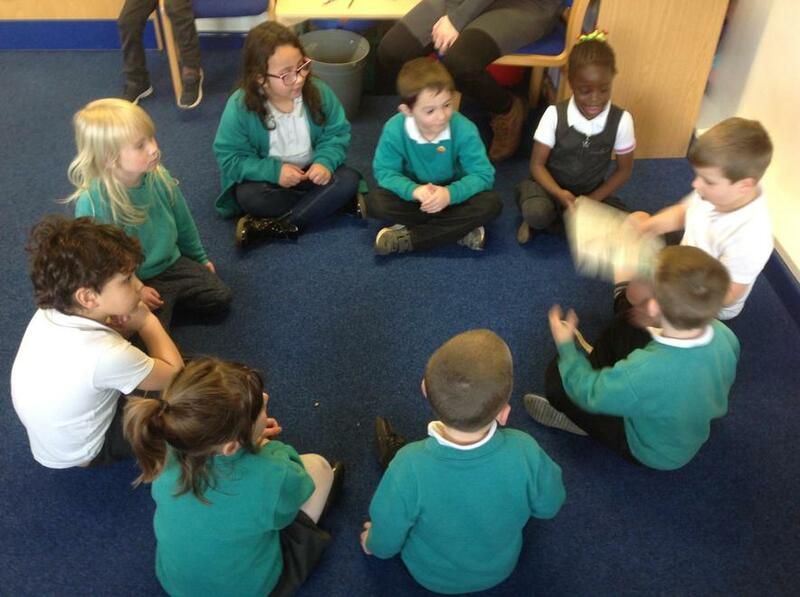 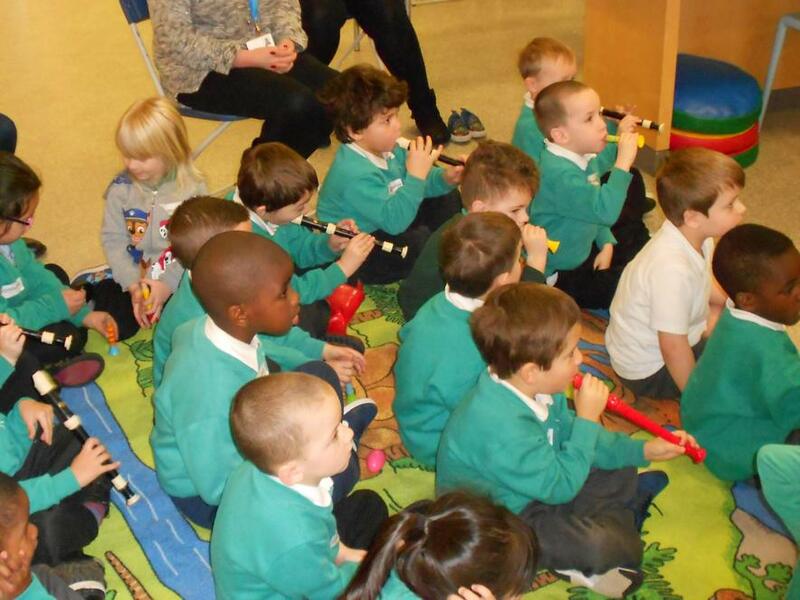 We learnt lot's of new facts and were able to share our own facts about dinosaurs with the people we met. 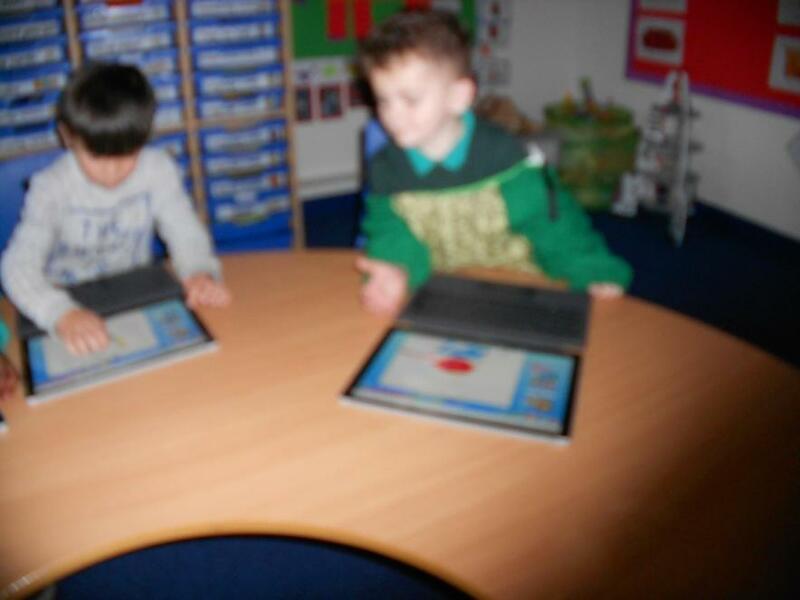 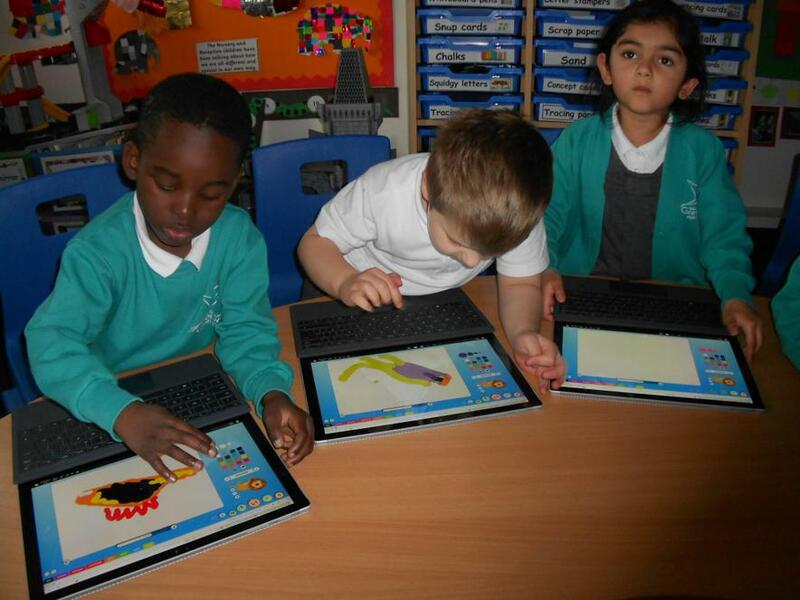 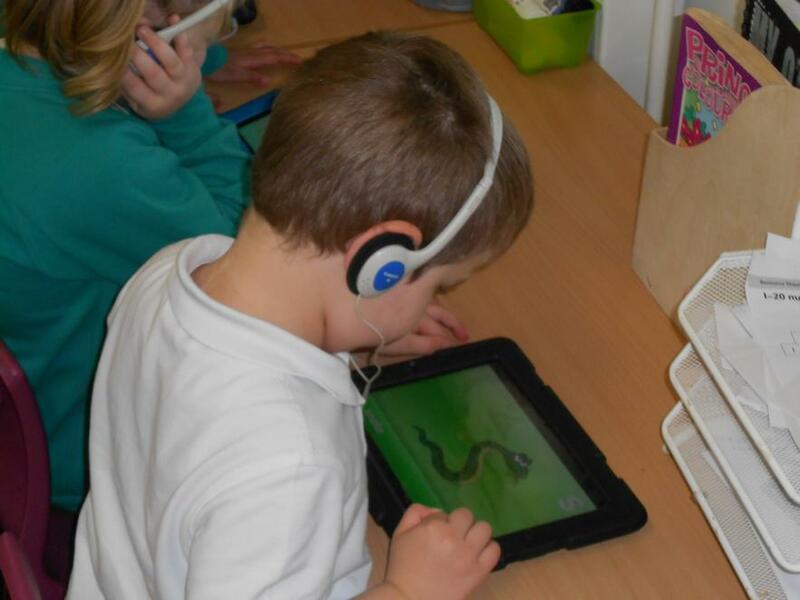 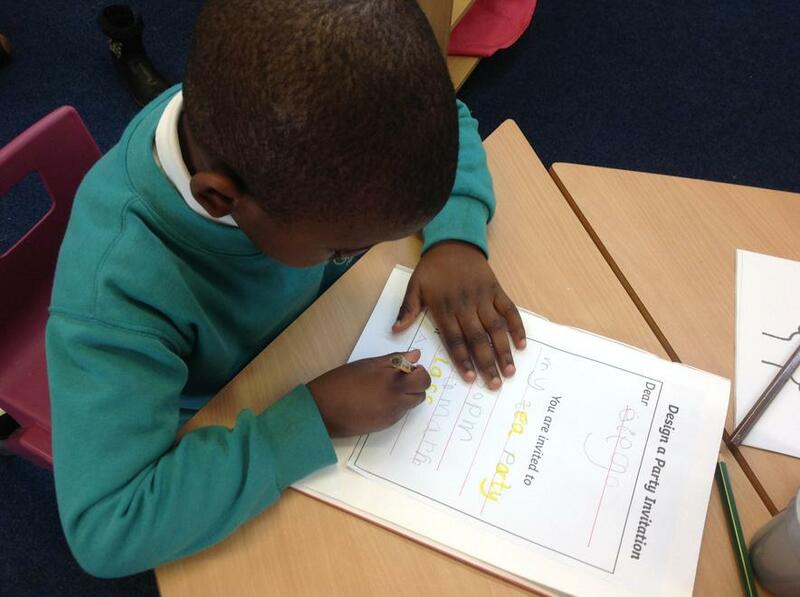 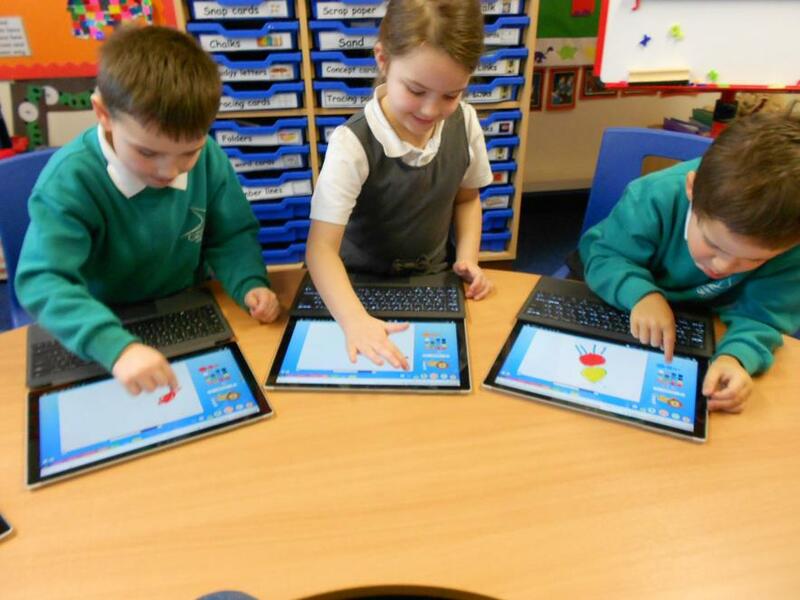 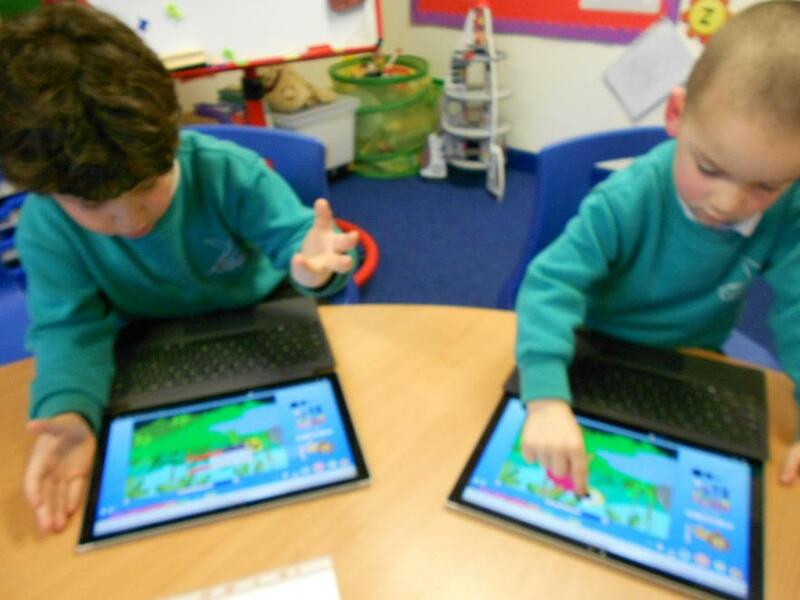 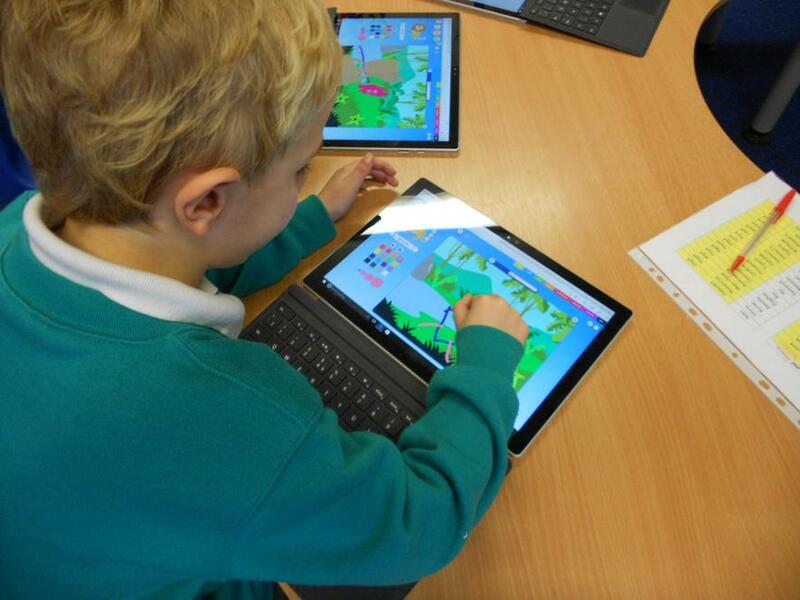 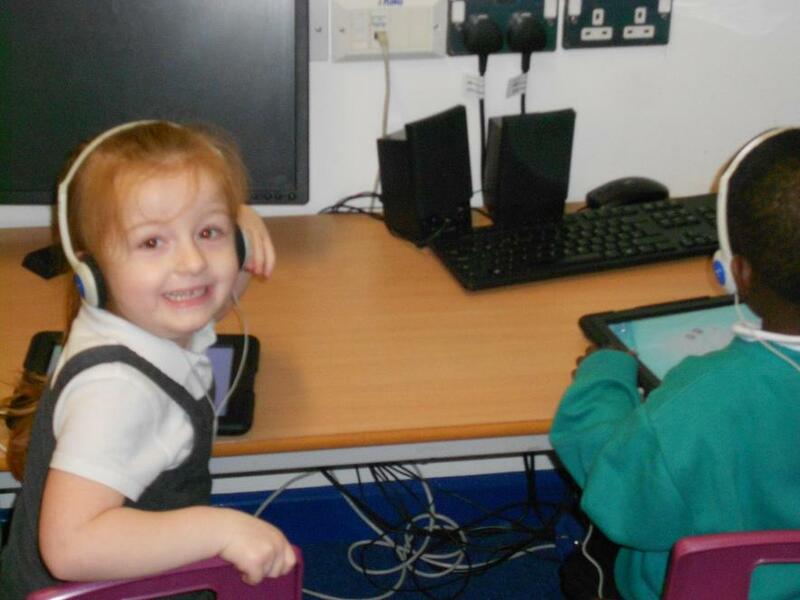 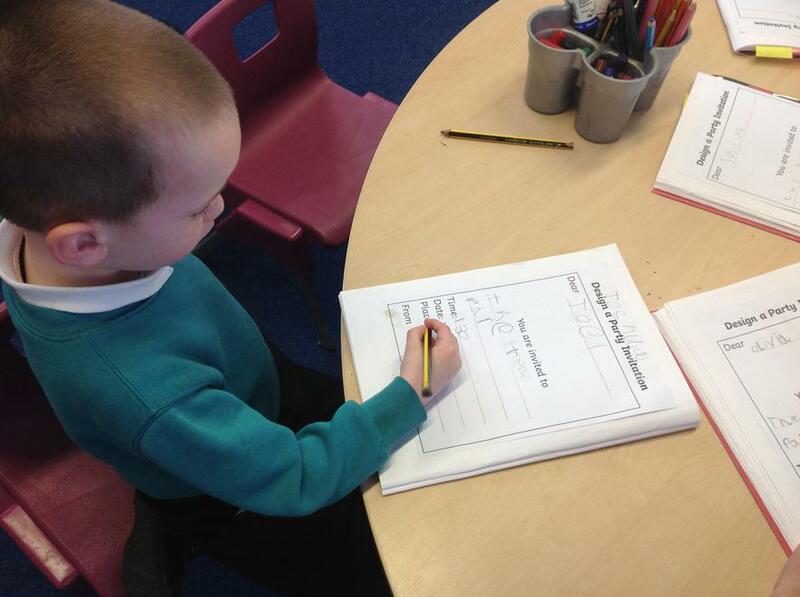 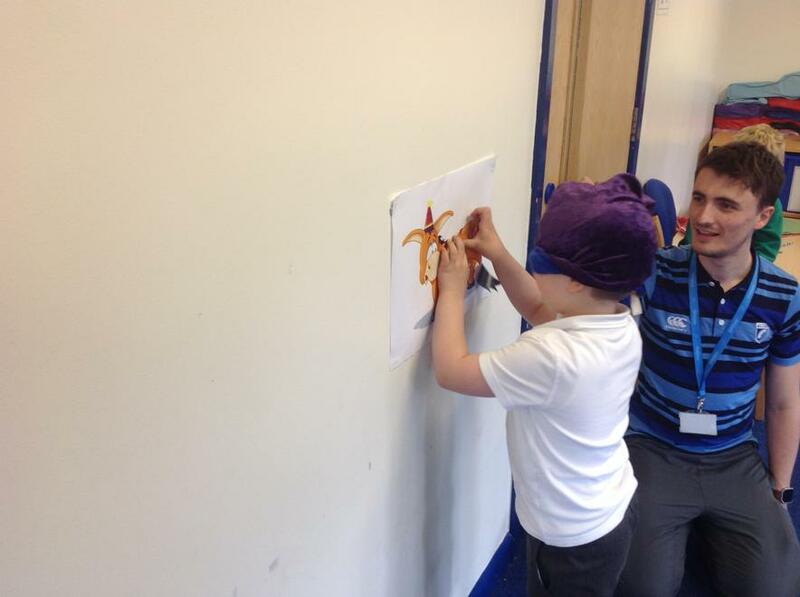 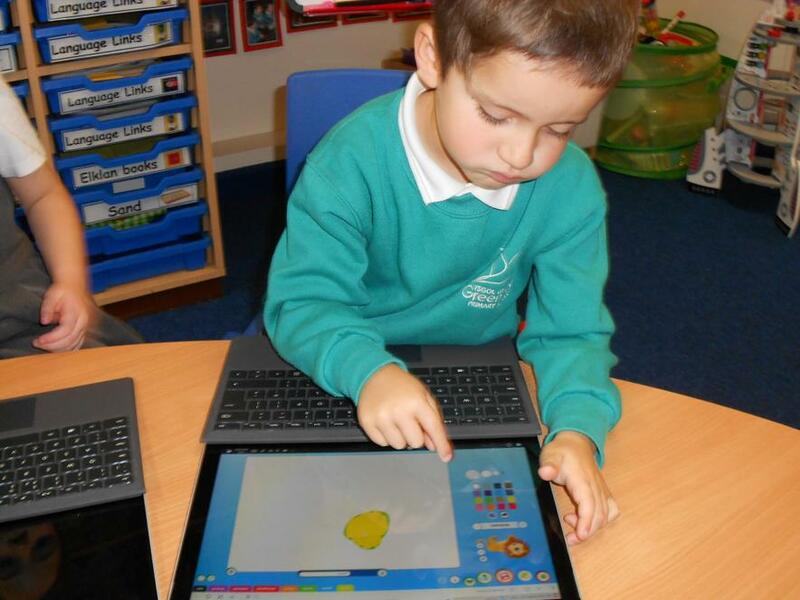 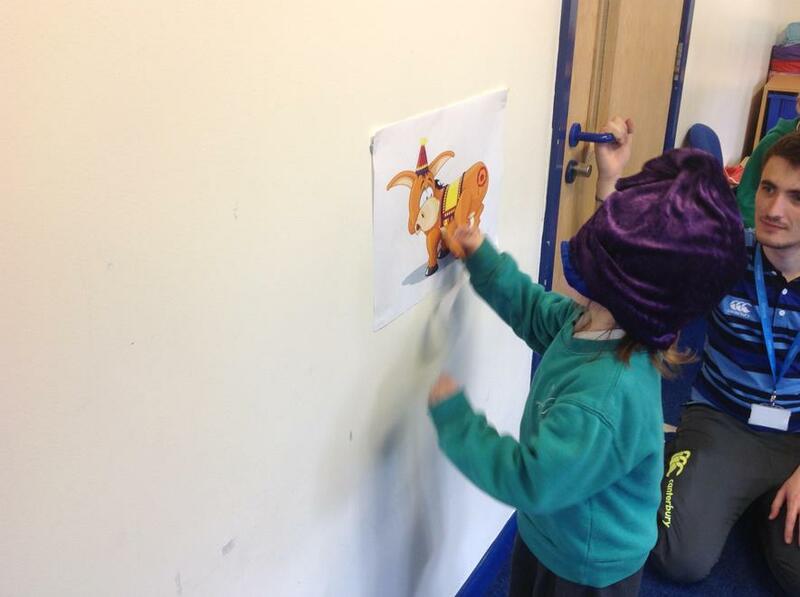 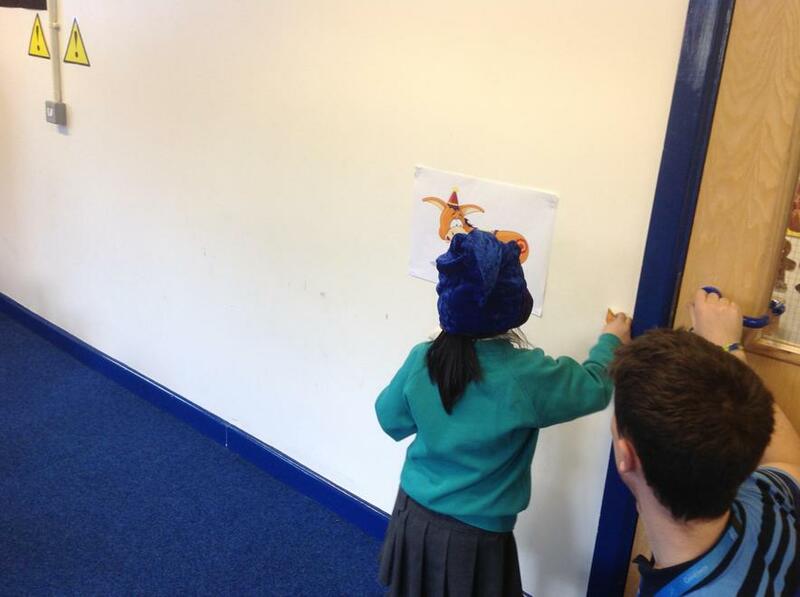 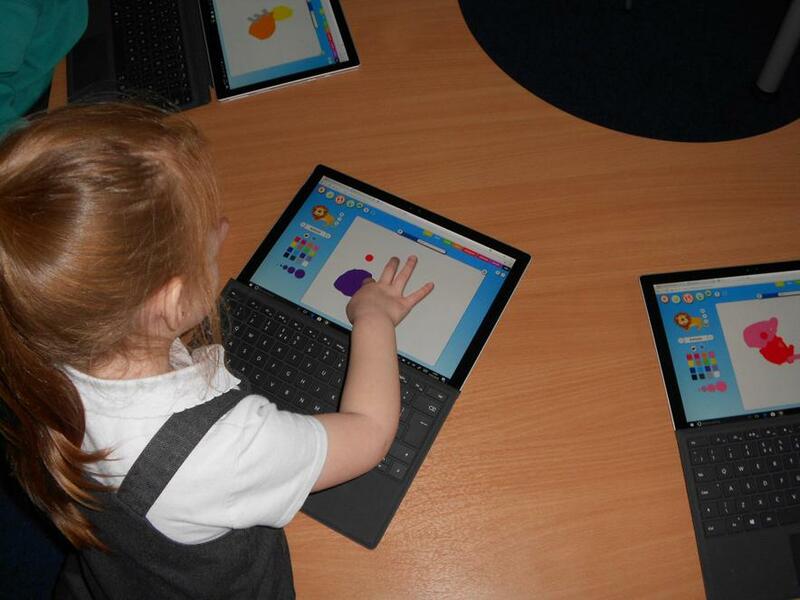 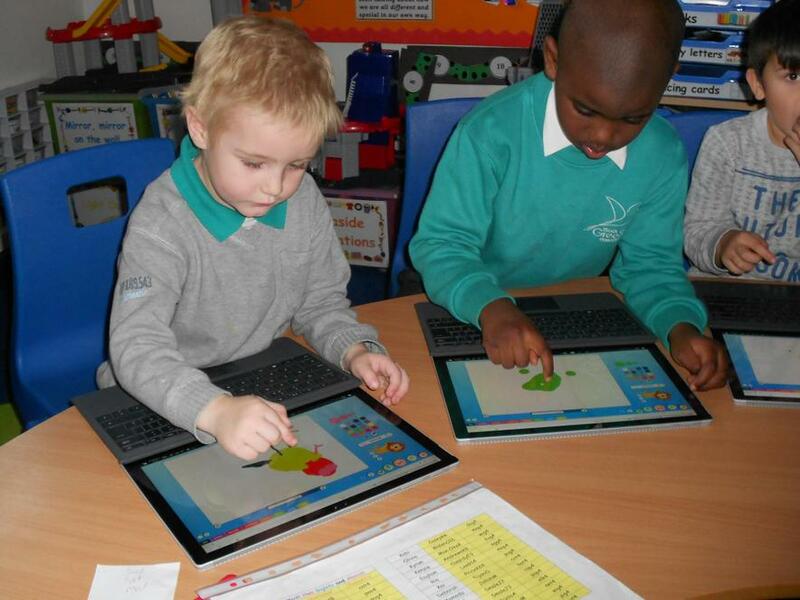 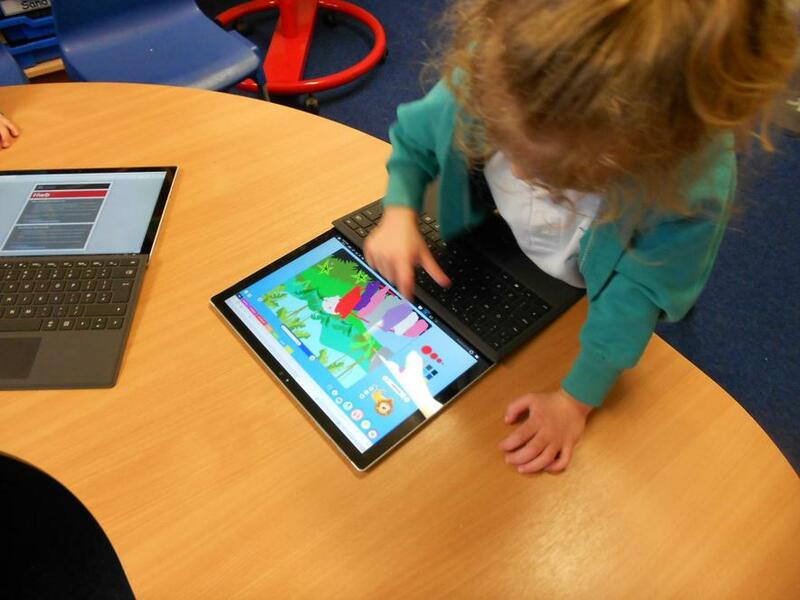 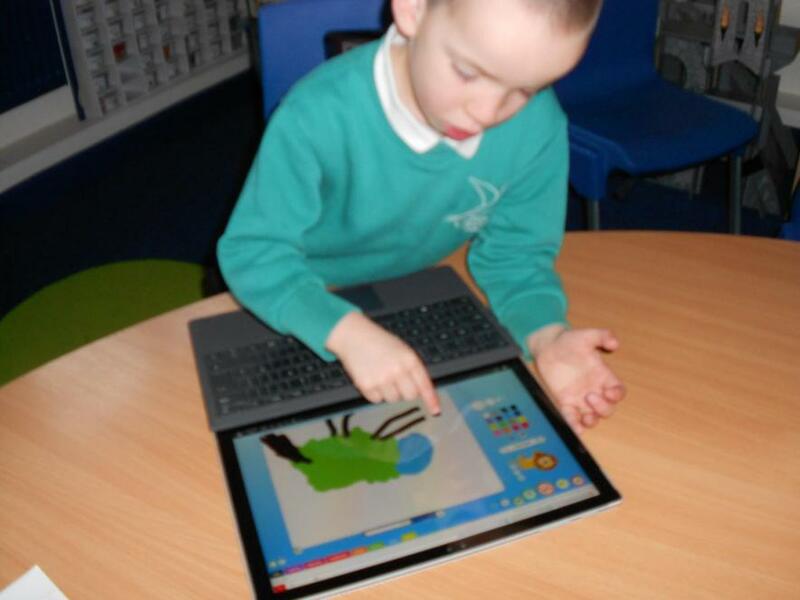 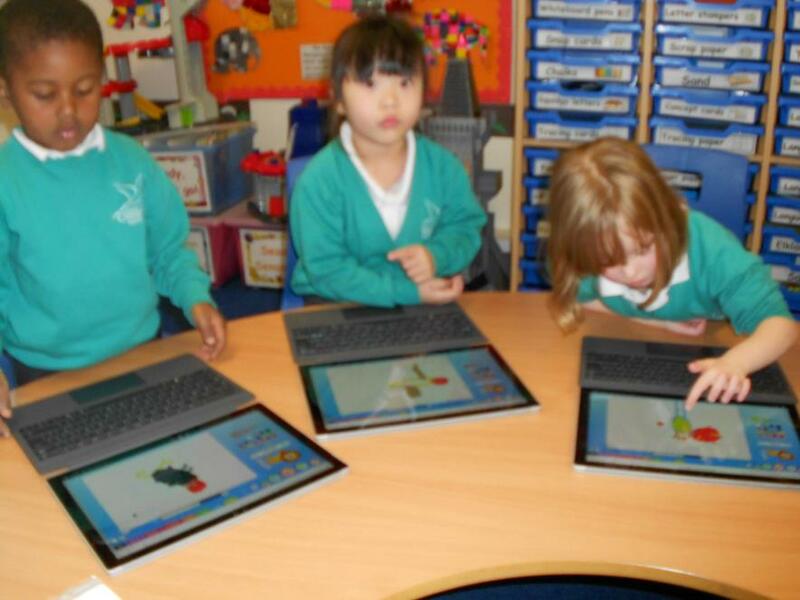 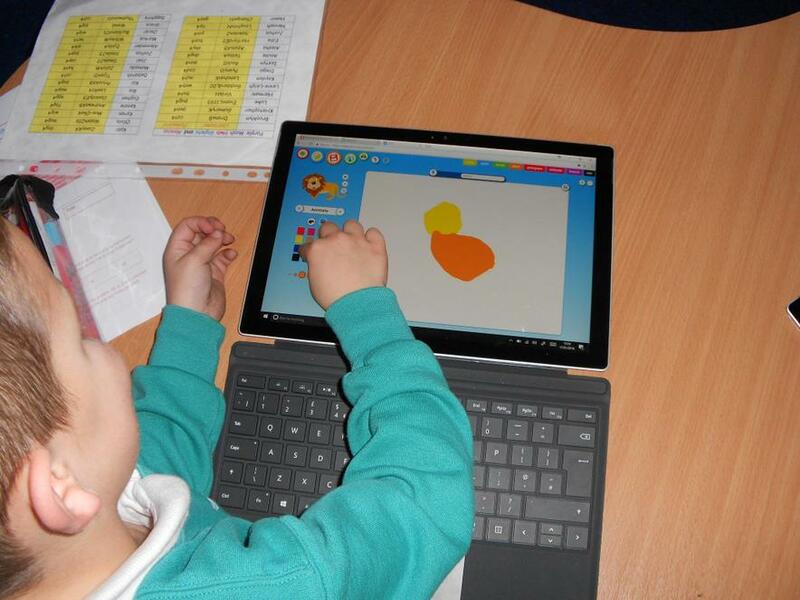 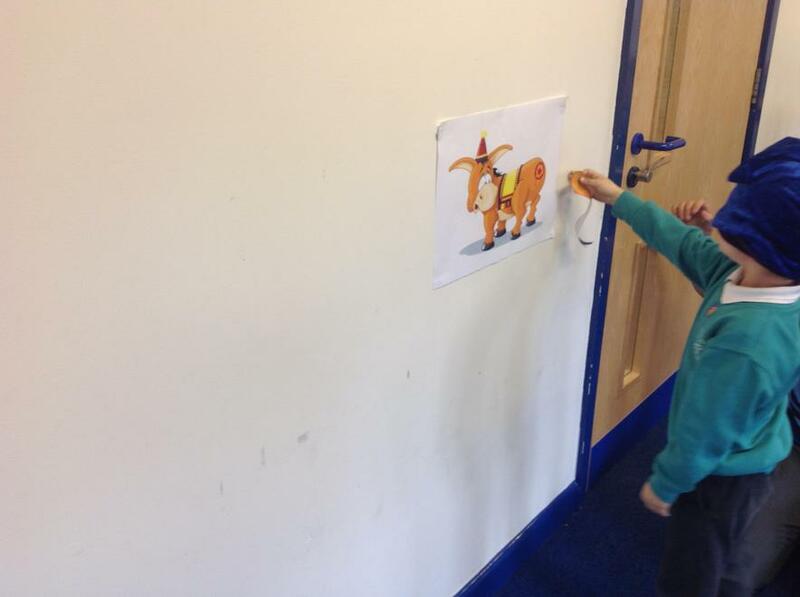 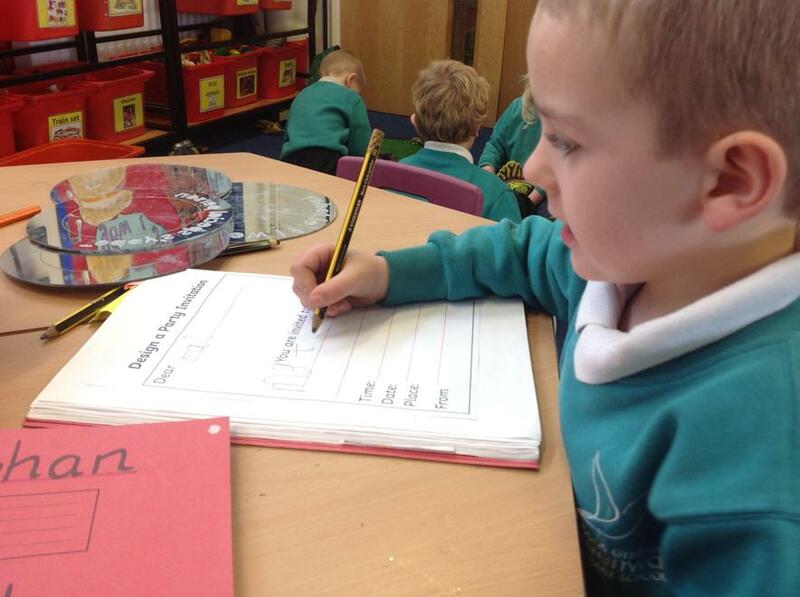 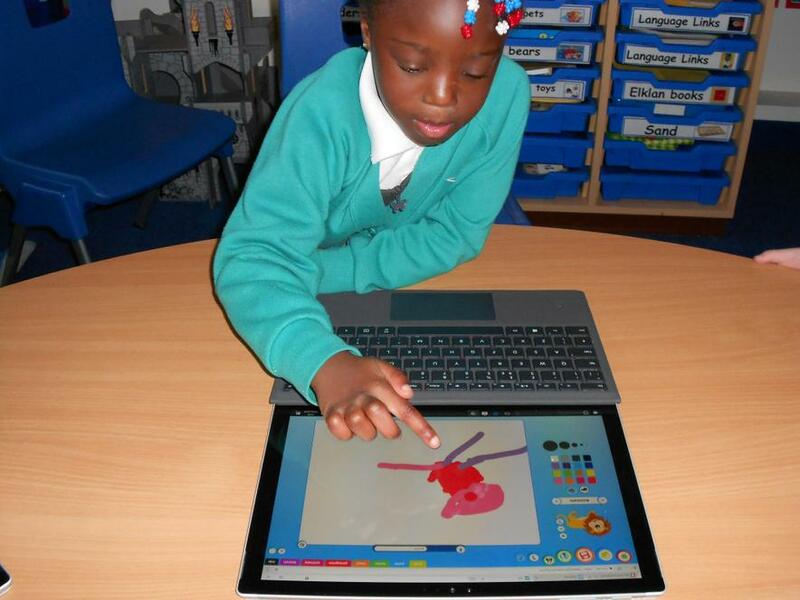 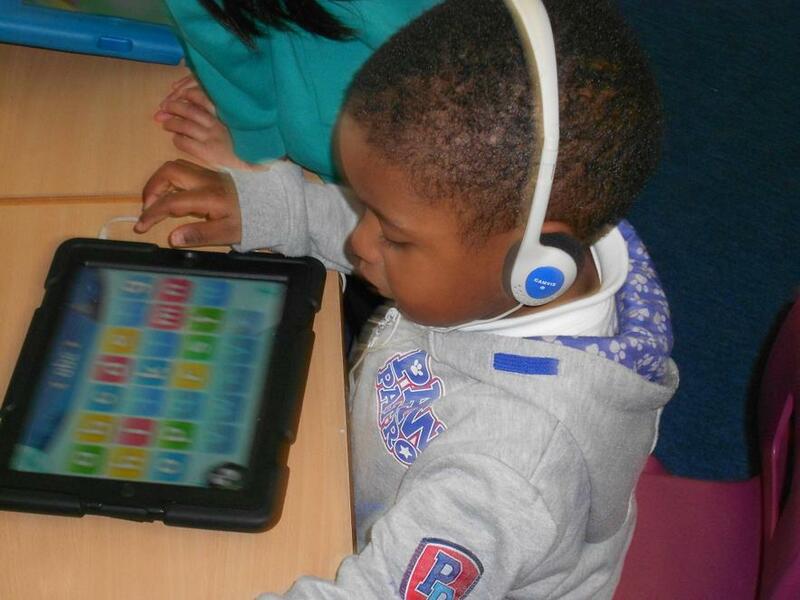 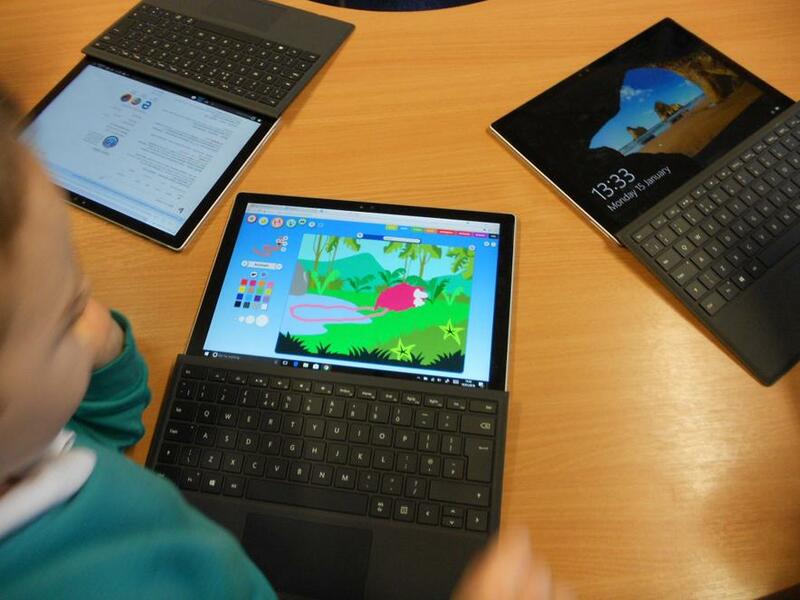 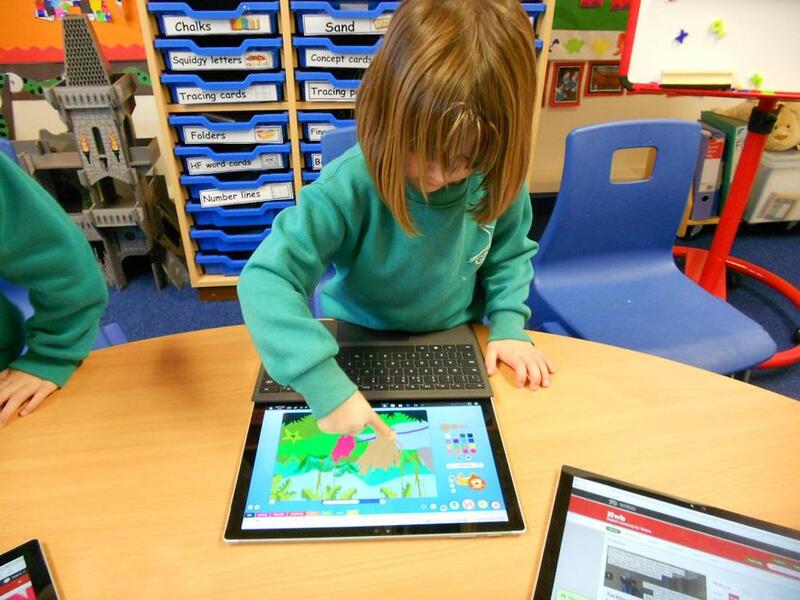 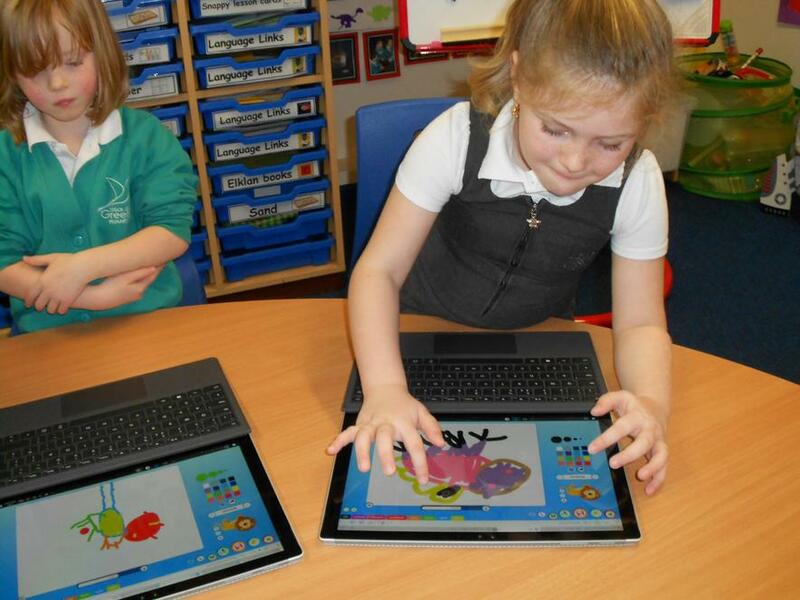 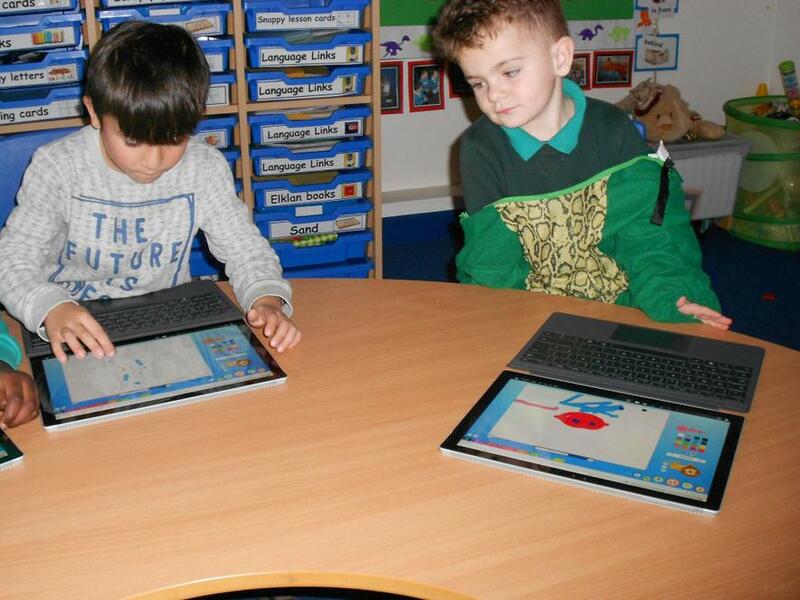 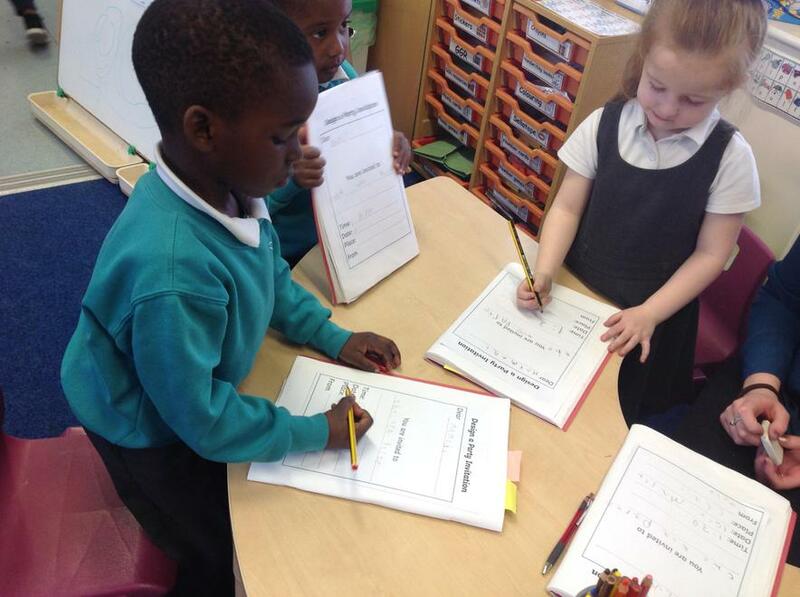 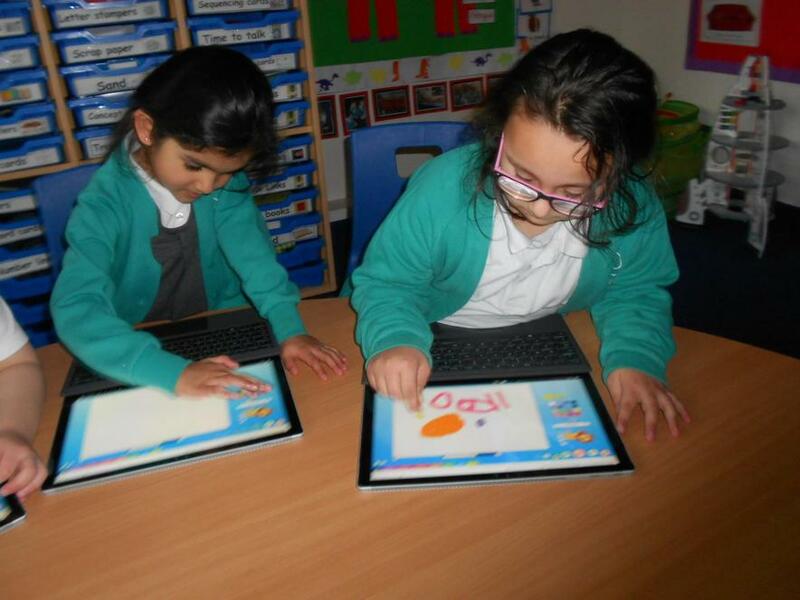 We used our ICT skills to record a sentence about a dinosaur, we also drew a colourful picture of our choosen dinosaur.